Welcome to my web site, and thank you for visiting. My name is Cindy Balbi Oliver and my Balbi ancestry follows. My paternal grandparents, Zefferino Balbi, born in 1879 and Florinda Tegaldo, born in 1884 immigrated to the San Francisco, California area in the early 1900's from Roccaforte and Corti, located 50 miles north of Genoa, Italy. My Balbi family tree begins in 1545 in Ronco Scrivia. My Balbi branch is related to the branches of Ed, Harve and Dave Balbi, and Donald Balbi, Clare Balbi and Eileen Balbi Swingle. My other family surnames include: Tegaldo, Cavo, Risotto,Silicani, Inches and Smith. My email address is: cboliver@msn.com. Gary Balbi and his sister Marilyn's grandfather, Antonio Balbi was born in 1886 in Pagliaro, located 48 miles north of Genoa. Around 1900, his grandfather immigrated to Truckee, California and subsequently relocated to Stockton, California. Through genealogy research it was discovered that Gary, Marilyn and Cindy Balbi Oliver are cousins, by virtue of their common ancestor, Jo Baptista Balbi (1643 - 1729) whose family resided in Ronco Scrivia at that time. Sadly, Gary passed on in June, 2007. The family of Ed, Harve and Dave Balbi live in the U. S. Their grandfather, Frank Joseph Balbi was born in Genoa, Italy in 1854 and his parents were born in France. Frank immigrated to the United States. His son, Frank Edward Balbi, who was Harve, Ed, and Dave's father, was born in 1892 in Nevada; he married Mabel Welhouser. Sadly, Ed and Dave passed away in 2006. Tina Balbi Kelley was born in Butte, Montana. She is the oldest daughter of Robert Gene Balbi Sr., (1942-1996). He is the brother of the family (above) of Ed, Harve and Dave Balbi. Tina and her husband Mason Patrick Kelly have two sons, Evan Robert Kelley born 4/11/1997 and Gavin Maxwell Kelley born 2/25/2003. Chelene Nightingale lives in California. Her parents are Warren Ward and Evelyn Balbi Ward. She is related to the Harve, Ed, and Dave Balbi family listed above. Her email address is: goldfingerz@earthlink.net. Clare Balbi lives in Falls Church, Virginia. She and her sister Eileen Balbi Swingle have traced their Balbi heritage to Genoa, to Giovanni Battista Balbi and his wife Maddalena in the mid-1600's. Subsequent to that their Balbi family lived in Malta. Their great-great grandfather was Giuseppe Balbi; great grand father was Raffaele Pubius Balbi 1830-1893; their grandfather was Major Henry Alexander Paul Emanual Dominic Balbi, 1867-1938; and their father was Brian Macintosh Raphael Publius Balbi, 1897-1948. Their father had a cousin Charles, in London, who had two sons: Peter, who lives in Sheffield, England, and Donald. Through this web site, Donald Balbi, who is listed on the Australia page, contacted Clare and Eileen. Clare and Eileen's email can be sent to: reswing@pacbell.net. Michelle Balbi's family have traced their ancestry back approximately 100 years to Balbis in Genoa, Italy. Michelle's father, Ronald Balbi (1931-1999) and her mother, Barbara Rita Rielli Balbi (1931-1997) grew up in San Francisco, California. Michelle has two brothers, Peter and John. Peter and his family live in Idaho and John and his family live in California. Michelle lives in Florida. Her husband David changed his name to Balbi when they got married in order that the Balbi line would continue (We salute you David!) They have a son Luca David Balbi. Michelle's email address is: michelle@balbi.us. Rafael Balbi, his parents Aristides and Rafaela, brother Edward and sister Christina live in New York. They are from the Dominican Republic. His father has 14 brothers and his mother has 9 brothers, some of whom live in the Dominican Republic, and the rest in the United States. Rafael is in the U. S. Marine Corps. His email address is: canetedropsl@yahoo.com. Rafael Thomas Balbi Jr. is a first cousin of Rafael Balbi in the previous listing. He lives in Manhattan and is an engineering major at Syracuse Universty. Rafael's email address is: rbalbi@syr.edu. Domonic Biggi's Balbi ancestors are from Genoa. His great-great grandmother was Louise Balbi who married David Reghetto in Genoa. He was considered an unfavorable spouse for a Balbi. Nevertheless she married him and they immigrated to Beaverton, Oregon in the 1850's. They had a daughter, Annunziata Reghetto who married John Merlo. Their first child, a daughter Rose, is Domonic's grandmother. Mariano Balbi lives in New York currently, but was born in Uruguay in 1959. His son Christopher was born in 1923. Mariano's parents are Pedro Balbi, born in 1933, and Lucia Gato Difluri, who were both from Naples, Italy. Pedro's brother was Antonio Balbi. Mariano's grandfather was Gaetano Balbi, also of Naples. Christopher's aunt, Rosa Maria Balbi, also lives in New York. Mariano's email address is: m.balbi@worldnet.att.net. Roger Balbi was born in Miami, Florida, where he now lives. His father Adolfo Balbi was born in Cuba in 1931. Roger's grandfather Ramon Balbi was born in Santiago De Las Vega, Cuba in 1895 and Roger's great grandfather Ramon was also born in Cuba. Through Balbi contacts related to this web page, Roger discovered a Balbi relative, Kenneth Emilio Balbi. Kenneth had researched their Balbi ancestry and shared it with Roger. As it turns out, they descend from a famous Renaissance Balbi family, from Venice, who many historians believe are related to the Genoese Balbi family. Roger's email address is: RBalbi@comcast.net. Cathy Crowther lives in Virginia. Her great-great-great grandparents were Francesco and Charlotte Balbi. Their children included Caesar, Teresina and Louis, Cathy's great-great-grandfather, who immigrated to America from Genoa around 1865. Louis added "Hastings" to his name. He and his American-born wife Rebecca were married around 1872 and settled in Virginia. Two of their children were Annie Balbi Hastings and Harry Braxton Balbi Hastings, who was Cathy's great-grandfather. He married Emma Sledge and their only child, Dorothy Hastings, married Lacy Foster. Their only child was Cathy's mother Sondra Foster. Cathy's email address is: Mirandaalana@yahoo.com. Lynne Pizzia lives in Los Angeles and is married to Carlo Luigi Pizzia. They have one daughter, Michela. The family believes Lynne's mother-in-law, Emma Adriana Balbi, born in 1926 and living in Genoa, Italy is the Contessa Balbi di Giustina. Emma's father, Luigi, born in 1893, married Maria Cerruti in Genoa. His father, the Conte Giovanni Battista, born in Venice in 1860, married Rachele Ferrari (born in 1865) in Genoa. Giovanni Battista's parents were the Conte Ferdinando Maria Giuseppe, born in 1835, and the Contessa Vendramin, born in 1838. Lynne's email address is: lynnepizzia@yahoo.com. Marla Pizzia and her sister Monica are granddaughters of Emma Balbi Pizzia, in the listing above. Their parents are Carlo Luigi Pizzia and Adriana Avakian. Marla has two daughters, Alexis Nicole Mateko and Brooke Ruby Mateko. Marla's email address is bigkiss1314@hotmail.com. Enddy Balbi's had been living in San Francisco de Macoris in the Dominican republic prior to immigrating to the United States in 1979. Enddy's father's name is Erasmo Balbi. Enddy's email address is: Elanny19@aol.com. Francisco Carlos Balbi was born in Brazil. He immigrated to Florida where he now lives with his wife Daisy and their children: Monique, Aline, Bruno, Victor and Amanda. Francisco's Balbi ancestors are from Italy. His grandfather Luis immigrated to Brazil where he and his wife Carolina remained. Francisco has four brothers, all of whom live in Brazil: Luis Balbi, Jorge Augusto Balbi, Carolina Altiva Balbi, and Sonia Balbi. Francisco's email address is: Bruno@balbipainting.com. Irlyn Balbi and her family live in New York. She has a sister, Madeline, and a brother, Aleudin. Her family is from San Francisco de Macoris in the Dominican Republic. Her great- grandfather's name was Mauricio Balbi, her grandfather's name was Juan Maria Balbi (Juanito) and her father's name is Tito Balbi. Her father has thirteen brothers and sisters: Lucia (Lucinda), Ana Julia (Nena), Clara, Cirila, Leonarda, Claudio, Roque, Erasmo, Simon, Pascual (Paco), Antolin, Jaime, and Epifanio Balbi who is deceased. Irlyn's e-mail address is: lillytumbao@msn.com, and her sister's e-mail is: mamasita143@msn.com. Kathy Benbrook lives in California. Her grandfather was Pietro Balbi who emigrated from Genoa, Italy in 1921. Pietro had a brother named Joseph (Giuseppe) who lived in the San Francisco area or possibly Riverside, California. Pietro had a son named Vincent as well as Kathy's father. Pietro owned Balbi's Mercantile in Stockton in the 1930s. Pietro's Balbi relative (either a nephew or cousin) Domenico Balbi, visited her family in 1976. Domenico was a well known artist, born around the late 1920s. His paintings include Tarot cards. Victor Balbi, his parents Victor and Aracely, his brother Steven and sister Vanessa live in New Jersey. They are from the Dominican Republic where some of his father's 14 brothers and sisters live. Victor's email address is: DRBoy_3@msn.com. Victoria Balbi and her family live in Philadelphia, PA. Her grandfather's name is Juan Carlos Balbi and he was born in Montevideo, Uruguay. Her father's name is Alberto Balbi, and he was also born in Montevideo. Victoria has two brothers: Jeremiah who has one daughter named Mercedes; and Jonathan who passed away two years ago. He has three children: Jonathan, Camryn and Joshua. Victoria's email address is: Balbi913@aol.com. Nara Balbi is currently living in Connecticut but is originally from Brazil. Her father is Neder Lodovico Balbi; her grandparents are Giuseppe Balbo and Clementina Verly dos Anjos; and her great-grandparent's names are Biagio Balbo and Maria Grazia Grasso who were from Salerno, Italy. Nara's Balbi family is related to the Italian actor Ennio Balbo. Nara's email address is: narinhabalbirocket@yahoo.com. Richard Baldi's paternal great-grandfather was Fillipo Balbi. He was a tailor and lived in Ascea and Pisciotta, Italy. However, he was born in Naples. When his son, Giuseppe, came to America his name was changed on his passport to "Baldi". He lived in New York and Pennsylvania most of his life. Richard's email address is: dr.baldi@verizon.net. Leonardo Silicani of Lucca, Italy, cousin of Cindy Balbi Oliver, has done extensive research on the Silicani surname. His email address is: leonardo.silicani@tin.it. Valeria Balbi and her two sisters Daniela and Licia live in Lugo di Romagna, in the province of Ravenna, Italy. Her father was Costante Balbi. Valeria has an organic food shop and is also an archivist. Her email address is: Valeria.balbi@tin.it. Federico Balbi and his family are from Venice. His father is Gastone and his grandfather is Giuseppe. Federico is a Software Engineer at RNDC. His email address is: balbifm31@hotmail.com. Antonio Balbi was born in Venice. His father was born in Celle Di Bulgheria, Salerno, as were his grandfather Orlando and great-grandfather, Giovanni. Antonio's Balbi ancestors were originally from the Province of Genoa. In the 1700s they relocated to Roccagloriosa. Antonio has two daughters, Claudia and Valeria and a son Ruggero Giuseppe. Antonio's brother Fabio lives and works in Mazara del Vallo, Sicily. Antonio's email address is boojba@tin.it. and his web site is http://www.sicilian-sun.com. Giuliana Balbi lives in Trieste, Italy. She descends from the Venetian Balbi family. She lives in a town called Muggia where she says the Balbi name is very common. Geralda Balbi was born in Venezuela and now lives in Roccagloriosa, Italy which is in the province of Salerno. She tells us that the Balbi name is very common in Roccagloriosa and there is an abandoned Palazzo Balbi that has the family crest with three fish. Geralda's email address is: gebalbi@wappi.com. Giuliano Balbi lives in Naples, Italy. He wrote to say that there are many Neapolitans with the Balbi name. Guliano's email address is: giulianobalbi@libero.it. Marco Balbi lives in Milan. His father Eugenio also lives in Milan as did his grandfather Vittorio. Marco has a nine year old son, Emanuele. Marco is a stage actor. His web site is: http://www.marcobalbi.it and email address is: marco@marcobalbi.it. Andrew Balbi lives in Rome, where he is a psychiatrist. His children are Lawrence and Phillip. Andrew's email address is: balbi.a@libero.it. Francesco Balbi lives in Torre del Greco, near Naples, Italy. He is a naval technical advisor and is married to Rosamaria Paolillo. His knowledge of his Balbi ancestry goes back to the 1800's. His great great grandfather Giuliano Balbi, originally from Genoa, relocated to Naples and fought in the war with Garibaldi. Giuliano married twice and had 21 children. The youngest of these children was Raffaele, who was Francesco's great grandfather. Raffaele was a very prominent Neapolitan poet. Another of the 21 children, Francesco's great uncle, was Gennaro who had one child, Raffaele, who also had one child, Maria Rosaria. Francesco's grandfather Raffaele had two children, Livio and Raffaele, who is Francesco's father. Livio relocated to London, England and married an English woman. They have one child, Anthony, who lives in Luxembourg and works for the European Economic Community as an auditor. Francesco has three brothers: 1. Vittorio, who is an electronic engineer, lives in Rome. He has two children, Alexander and Sofia. 2. Vinicio, who is a doctor, lives in Naples. 3. Adele, who is a physical therapist, lives in Brescia in Northern Italy. Francesco's email address is: balbi@inwind.it. His father Raffaele Balbi's email address is: raffaelebalbi@virgilio.it. Bruna Balbi and her husband live in Dervio, Italy. She was born in Argegno which is near Como, Italy. Her parents are Pietro and Antonietta Venini. Bruna's grandfather Aristide Balbi was born in Genoa in 1863 and later relocated to Como. He worked as a mason and in addition to Italian, spoke French and German. He was the mayor of Saint Fedele. Aristide had four children: Clementina born in 1891, Bruna's father Peter (1892), Ermenegildo (1893), and Giovanna (1905). Bruna's sister Piera lives in Bellinzona, Switzerland. Bruna's email address is: bruna.balbi@libero.it. Carlo Balbi lives in Pontirolo Nuovo, a small village near Bergamo, Italy. His father is Giordano Balbi, his grandfather was Carlo Balbi and great great grandfather was Francesco Balbi. He does not know the location of Francesco's birth. Carlo works for a freight forwarding company in Genoa. His email address is: cbalbi@interglobo.it. Simona Balbi lives in Pontirolo Nuovo in the province of Bergamo, Italy. Her father is Jordan Balbi, her grandfather's name is Carlo Balbi and her great-grandfather was Francisco Balbi. Simona has a brother Carlo who lives in Ciserano, in the province of Bergamo. Simona's email address is moni63@me.com. Moreno, Barbara and Greta Fossati live in Ronco Scrivia, Italy, where many of the Balbi family originated. Moreno is renovating the house and properties of his grandparents and family that are situated in the mountains of Ronco Scrivia, including Cipollina, Meriale and Porale. Moreno's mother, Franca Balbi (1940-2007) had three sisters, Elia, Elisa and Angelina. Franca's father was Mario (1910-1974) whose six siblings were: Angelo, Erminio, Albina, Rina, Lolanda and Elena. Mario's father was Gerolamo Balbi (1872 – 1930s) and his wife was Angela Traverso (1876-1930s). Gerolamo's siblings were: Giuseppe, Caterina, Geromina, Luigi bueno, Benito (Gerolamo's twin), and Giovanni who immigrated to Argentina. Gerolamo's father was Giovanni whose wife was from Porale. Moreno's email address is mfossati@salcomconsulting.it. Bruno Balbi was born in Genoa and now lives with his wife Gloria in Pavia. They have two daughters, Claudia and Francesca who is employed as a Junior Account Manager in New York City. In 1986 Bruno went to the U.S. where he spent three years at Bethesda, at the National Institutes of Health. He is currently the head physician in the Division of Pulmonary Rehabilitation at the Maugeri Foundation Institute in Gussago in Brescia, Italy. Bruno's father Angelo Balbi was born in 1921 and his grandfather Giovanni Battista Balbi was born in Ronco Scrivia on February 26, 1885. He spent most of his life in Genoa where he worked in a national Public Insurance company for workers (INAIL) and eventually became Chief Executive that organization. Giovanni Battista Balbi's father was Angelo and his wife Rosa was also a Balbi. They lived in the Cipollina area of Ronco Scrivia. Giovanni Battista Balbi had a brother who immigrated to America. Bruno's brother Giovanni Battista Balbi is a lawyer and lives with his wife Laura and sons Giacomo 12, and Francesco 6, in Genoa. Bruno's email address is: bbalbi@fsm.it. Bruno Balbi was born in Rome, Italy in 1949. He now lives in Cesena, Italy where he is a Doctor of Radiology. His father Marcello Balbi was born in Naples in 1912. His grandfather Alberto Balbi and great grandfather Michele Balbi were also born in Naples. Bruno has a son, Tommaso who has a degree in psychology, and a granddaughter Alessandra. Bruno's email address is: bbalbi@libero.it. Giuseppe Balbi lives in Rome, Italy. He has two children, Matteo, 10 years old Giulia, 20 months old. Giuseppe works for the IBM Company in Italy. His father is Giovanni, who was originally from Roccagloriosa, Italy and his grandfather's name is also Giuseppe. Giuseppe's email address is: giuseppe.balbi@it.ibm.com. Pietro Ratto is from Italy. His grandmother, Teresa Balbi of Genoa married Peter DeCarolis. His mother is a cousin of the famous Italian painter Domenico Balbi. Pietro believes that his grandmother Teresa Balbi's father was possibly named Augustino Balbi. Pietro's email address is: pietroratto@libero.it. Stefano Balbi and his family live in Naples, Italy. His email address is: badylove@hotmail.com. Alessio Balbi was born in Genoa, Italy in 1973 and his sister Emanuela was born in 1985. Their father Mauro Balbi was born in Genoa in 1945 and his grandfather Mario Balbi was born in Ronco Scrivia, Italy in 1924. Alessio's email address is: bokkadasse@hotmail.com. Ferruccio Ferruzzi Balbi was born in London in 1963 and currently lives in Venice, Italy. His grandmother, Emilia Balbi was a Contessa and the last descendant of the noble branch of Balbi di Santa Giustina. Ferruccio's email address is: galleriacarezzonico@virgilio.it. Claudio Gabriel Balbi was born in Argentina in 1958. In 1989 he relocated to Milan, Italy and now lives in Bergamo, Italy where he is an architect. He is the son of Osvaldo Lorenzo Balbi who was born in Argentina in 1933. Osvaldo's father had a sister Liliana Nora Balbi, and a brother, Ricardo Jorge Balbi, both of Argentina. Another Balbi relative, Luigi Balbi, was born in Genoa in 1989. Alessandro Giuseppe Balbi was born in 1968 in Paderno Dugnano, in the province of Milan. His father, Michele Tito Vittorio Balbi, and his grandfather Alessandro Balbi, were born in Roccagloriosa in the province of Salerno. While researching his Balbi ancestry, Alessandro found a beautiful Balbi palace in Roccagloriosa with the Balbi crest on its door. Alessandro is employed as a supervisor in a laptop company in Paderno Dugnano. His email address is: sbalbi@tiscali.it orsandro.balbi@pe92.it. Angelo Balbi recently relocated from Genoa to Lake Como where he lives with his wife Elisabetta and two sons Leonardo and Francesco. His father was Alessandro Balbi and his grandfather was Angelo Balbi. He is a Senior Officer with the Princess Cruise line. His email address is: a_balbi@hotmail.com. Angelo Balbi was born in Policastro Bussentino in 1960. He and his wife live with their four children, Antonio, Sara, Roberta and Martina in Sapri, Salerno. His father Antonio was born in Rivello (PZ) and has many relatives in Roccagloriosa, Italy; brothers and sisters in Porto San Giorgio, Argentina and other locations in North and South America. Angelo's email is: angelo.balbi@libero.it. Elisa Balbi lives in Dronero in the province of Cuneo, Italy. Her father was Riccardo and her grandfather, Pietro, came from Alessandria. Her father's transporting company was well known. Elisa's email is: forivo2003@libero.it. Elisa Maria Balbi was born in San Paolo, Brazil in 1963 but has always lived in Italy, first in Milan and then in Castiglione delle Stiviere. Her father, Ilvo Balbi, was born in 1919 and her mother, Angela Mazzarello, was born in 1934 in Genoa. Elisa's grandfather, Giacomo Balbi, born in Italy in 1885, married Elisa Vallarino who was born around 1890. Elisa's great-grandfather, Antonio Balbi, had five children. Elisa works in psychiatry in the county's presidio hospital. Her email address is: elisa.balbi@email.it. Eugene Balbi lives in Naples where he is a helicopter pilot in the National Fire Department. His father, Antonio Balbi, has two brothers: Mario who relocated to Piacenza twenty years ago; and Stefano, who lives in Naples. Eugene's email address is: eugeniobalbi@libero.it. Giovanna Balbi lives in Turin. Her parents are Francisco and Maria Guida Balbi. Giovanna's email address is: Giovanna.Balbi@libero.it. Giuseppe Balbi lives in Maddaloni in the province of Caserta where his family has resided for many generations. His father, Giovanni Balbi, was born in 1933 and his mother, Rosa Margherita, was born in 1935. Giuseppe was born in 1965 and has two children: Giovanni, born in 2001; and Giorgia, born in 2003. Giuseppe has a doctorate in commerce and is also very active in the community. Giuseppe's email address is: info@studiobalbi.com. Giuseppe Pietro Balbi lives in Dello (BS) but his family is formerly from Sicily. Giuseppe and his wife Rita Azzolina have three sons: Peter, Mauro and David. Giuseppe has a brother Michele, born in 1965, who lives in Sicily. Giuseppe's father, Pietro Balbi, was a sailor who died in the Laura Scotti shipwreck in Portugal in 1967 and the family is wondering if anyone is aware of a monument in Lisbon commemorating the individuals who died in that shipwreck. Giuseppi's email address is: balbi1416@tiscali.it. Igor Balbi di Murano lives in Venice. His father's name is Alvise Balbi and his grandfather's name is Giovanni Balbi. Isabella Balbi lives in Verona. She was born in Romagna, as was her ancestor Giovanni Balbi and her other Balbi relatives. Isabella's email address is: isabellabalbi@libero.it. Mario Balbi, his wife Nadia and their two daughters live in the Ravenna area of Italy. Mario's grandfather was Antonio Balbi and his father was Giovanni Balbi. Mario's family owned a flour mill in Alfonsine (Ravenna) and for a time were also connected with Guastalla (Reggio emilia). Until he retired, Mario worked in the field of oil research. Mario's email address is: mariobalbi@alice.it. Roberto Balbi lives in the province of Cuneo. His Balbi ancestors were from the Alessandria area of Italy. His grandfather is Severino Balbi, born in 1910; his great-grandfather's name is Giovanni Balbi, and his great-great-grandfather's name is Bernardo Balbi. Roberto's family is large and many members immigrated to South America. Roberto's email address is: roberto.balbi@aruba.it. Rosaria Balbi and her family are from Naples and Bologna. She has two sisters, Roberta and Bianca. Silvestro Balbi was born in Avellino and now resides in Cameri (NO). His father,Stefano Balbi, and his grandfather, Salvatore Balbi, have resided in the community of Bajano (AV). Silvestro has two children, Cristian and Valeria. Silvestro's email address is: sbalbi@aliceposta.it. Tomas De Marchi and his family live in Venice. His mother is Wilma Balbi and his grandfather is Luigi (Tony) Balbi, born in 1910. Tomas' email address is: dmtduxve@tin.it. Florence Balbi's grandfather was Vittorio Balbi who was descended from the Venetian Balbi family. Her family also has Balbi relatives in the area of Naples. Vittorio worked in real estate and jewelry, among other busines endeavors. Florence's email addresses are: weylla@hotmail.com or Florence@libero.it. Domenico Balbi lives in Poggiomarino, Naples. He has a brother name Augustin, and a sister named Giusy. Domenico has two children, Antonio and Nicolo. His father is Antonio, of Campania, Naples, where his uncle Giovanni and sons also live. Domenico's great uncle (brother of his paternal grandfather) relocated to England where he married and had two sons, Antonio and David Balbi. Domenico's email address is: balbid@libero.it. Valentina Balbi and her family are from Trieste. Her grandmother was Giovanna Balbi. Valentina's email address is: winnie3@hotmail.it. Paola Schwerza's father, Cesare Paolo Balbi was born in Piemonte, in the Torino area in 1910. Her grandfather was Vittorio Balbi who was born in Torino in 1862. After obtaining a Phd in mathematics, he became an Assistant Astronomer at the Turin Observatory in 1893, then First Assistant Astronomer and in 1910, Astronomer. In 1912 he requested a transfer to the Catania Observatory where in October 1919 he was named Director. He remained at Catania Observatory until the end of 1923. From 1924 to 1932 he was again an astronomer at the Turin Observatory. He retired in 1932. While in Catania he published in 1921 part of the "Catalogo Astrofotografico." He was also a founding member of the "Società Astronomica Italiana" and published different articles in the"Società"s pamphlet called "Rivista di Astronomia e Scienze Affini." Paola's email address is: paolaschwerza@mail.pf. Giovanni Balbi was born in Naples in 1966. His email address is: vbsecurity@libero.it. Leonardo Balbi was born in Genoa. He now lives in Erba, near Como. His email address is: NightHK03@hotmail.com. Francesca Balbi lives in Faenza in the Province of Ravenna. Her father is Giulio Balbi and her grandfather is Francesco Balbi. Francesca's email address is: fbalbi@alice.it. Giuseppe Balbi was born in Maddaloni, Italy and now resides in Caserta, Italy. He holds a Doctorate in Business and has offices in Caserta and Rome. Giuseppe's email address is: info@studiobalbi.com. Vittorio Balbi was born in Naples where there are many Balbi cousins. He had seven children: Immacolata, Carmela, Gennaro, Adelaide, Salvatore, Ciro and Patrizio, who all live in Naples. Gennaro has two children, Antonietta and Vittorio. Salvatore has four children, Italo, Carmela, Vittorio and Antonietta. Ciro has two children, Antonia and Michela. Patrizio has two children, Antonietta and Federica. The family's email address is: balbifamily@alice.it. Federico Balbi was born in Santa Margherita Ligure, Genoa area. His father Giorgio Balbi was born in Genoa in 1920. Federico's sister, Maria Corola (Mariella) was also born in Genoa. Federico is an Apple computer consultant. He lives in Chiavarese, Liguria. Federico's email address is: federico@raffo.it. Antonio Balbi lives in Mugnano, Avellino, Italy. His sister is Serena and his aunt is Nicoletta Balbi who lives in Rome. Antonio's father is Giovanni Balbi. Antonio's grandfather was the General dell' Fortunate Aeronatica Paschal Balbi. The family has relatives in San Paolo, Brazil who they would like to contact. Antonio's email address is: Rosanna.lippiello@libero.it. Marco Balbi lives in Italy. He has three children, Cecilia, Andrea and Luigi, and also three siblings, Stefano, Silvia and Elena. Marco's father was Luigi Balbi. Marco is in the advertising communications field. His email address is: marco@intera.it. Angelo Balbis lives in Candiolo in the Province of Turin, Italy. He was born in Cuneo where he lived until 1960 after which he relocated to Turin. His father, Vittorio Balbis was born in Cuneo, Italy in 1895. Angelo's grandfather Giuseppe Balbis was also born iin the Cuneo Province. Some of Angelo's Balbis cousins live in Cuneo today. One of Angelo's great uncles, brother of his grandfather, immigrated to the United States where he was employed as a carpenter. Approximately 60 years ago a visitor arrived in Ruata Lerda, a small village in the Cuneo Province to find out more about his relatives. Angelo has two sons, Roberto and Marco. He tells us that in Turin there is a Balbis street, a Balbis bridge on the River Po and a Balbis police station. Angelo's email address is: balbis.angelo@alice.it. Marano Luisella lives in Italy. Her mother's grandfather was Giacomo Enrico Balbi. He had three sons, one of whom was Luigi Balbi (Marano's grandfather) who died young and left a wife, three sons and two daughters: Adriana and Olga (Marano's mother). The family resided in Genoa. Marano's emaill addres is: elean92@libero.it. Renato Balbi lives in Genoa, Italy. His father is Calogero Balbi of Sicilian origin as was Calogero's father. Renato's great-grandfather was born in Genoa and probably served under the military leader, Giuseppe Garibaldi. Renato's email address is: renato.balbi85@gmail.com. Maurizio Balbi lives in the province of Cuneo in Busca, Italy. His parents are PierFranco Balbi and Armando Luigia who live in Roccabruna in the province of Cuneo. Maurizio's paternal grandfather is Aldo Balbi who was born in the province of Alessandria. Maurizio's email address is: maurizio.balbi@resinvetro.com. Gianluca Balbi was born in Genoa in 1963, where he lives today. His father's name is Giorgio Balbi and his grandfather's name is Eugenio Balbi. Gianluca has a sister named Raffaella. Gianluca and his wife Monica have a daughter named Carola and a son named Giacomo. Both of Gianluca's great-grandparents were Balbis: Teresa and Giovanni Battista. The origin of Gianluca's Balbi branch is Cipollina, near Ronco Scrivia. Gianluca is a graduate in electro-technical engineering and is employed in that field. In 1943, one of Gianluca's cousins, Captain Giorgio Balbi was awarded the medal of military valor after having been shot in Cefalonia. Gianluca's email address is: balbi.gianluca@fastwebnet.it. Mauro Balbi was born in Casale Monferrato (Alessandria) on 10 July 1953. Mauro is an Italian architect. He lives and works in Torino, Italy with his wife Elisabetta Sattanino. Their email address is: embalbi@gmail.com. Mauro's son Lorenzo Balbi was born in Rivoli (Torino) 10 September 1982. Lorenzo is a contemporary art critic and curator. He lives and works in Torino. His email address is: Lorenzo.balbi@alice.it. Maurizio Balbi's parents are Pierfranco Balbi and Armando Luigia. His brother is Pierluigi. Maurizio's grandfather was Aldo Balbi. 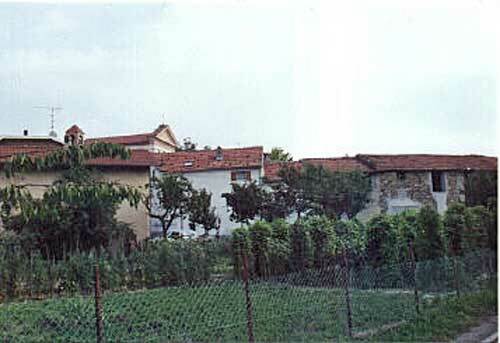 The family lives in Dronero, Italy. Stefano Balbi was born in Napoli Italy in 1977. His father is Massimo Balbi born in Napoli in 1950; he is a lawyer. Stefano is a seller and lives in Valencia, Venezuela. Stefano's email address is: balbi77@gmail.com. Maurizio Balbi was born in Genoa in 1960 where he is employed with ACI PRA. His father Enrico was born in Genoa on May 16, 1934 and died on January 31, 2015. Maurizio’s grandfather was Luigi Balbi whose father Giacomo Balbi was born to a wealthy Genoese family. Maurizio has two daughters, Gloria and Sara both of whom graduated with degrees in Design. Maurizio's email address is maurizio.balbi.mb@gmail.com. Gérard de Balby de Vernon lives in Wardrecques, France. He is a member of the fifteenth generation of the French branch of Balbis. Gérard is entrusted with the family archives. Click here to view his family tree. He tells us that the father of Renato de Casa Balbi was Antoni, from the Balbi family of Genoa, and was Governor of Calabria for the King of Spain. Renato was committed to protect with a military troop some alleged rights of the Spanish Crown on a part of the Comté de Foix (South of France); having married a French woman, Hyacinthe de Loumagne, he started the French branch of the Balbi's; Gérard's family has Renato's original wedding contract, dated March 1, 1396. Gérard and his late wife Jacqueline (Pettier) have three daughters and one son. Their daughters are: Géraldine, married to Christophe Nepveux; Anne, married to Patrick Sibieude; and Aude, married to Jean-Baptiste Galland. Gérard's son François is married to Nathalie Lefebvre and they have two sons, Geoffroy and Aurélien. Email can be sent to: gdevernon@gmail.com. Eric de Balby de Vernon lives in France. He is Gérard de Balby de Vernon's (above) nephew, son of Gérard's brother, Christian. Click here to view the family tree. Eric's email address is: EricdeVernon@aol.com. Guillaume de Balby de Vernon lives in Roquevaire, France. He is a brother of Eric de Balby de Vernon (above) and a nephew of Gérard de Balby de Vernon. Guillaume's email address is: gdevernon@yahoo.com. Jean-Bernard de Balby de Vernon lives in France and is also a part of Gérard de Balby de Vernon's (above) branch. Click here to view the family tree. Jean-Bernard is married to Bénédicte d' Aldeguier and they have three children: Nathalie, born 8/12/1985; Albéric, born 6/10/1988; and Thibaud, born 6/11/1991. Jean-Bernard's email address is: jbernard.debalby@tele2.fr. Marie-Hélène de Balby de Vernon lives in Bayonne, France. She is the sister of Jean-Bernard de Balby de Vernon and part of the Gérard de Balby de Vernon branch. Marie- Hélène's email address is: mh.de.vernon@wanado.fr. Claude Balbi lives in Vancluse, France. His Balbi ancestors are originally from Lodi in the province of Milan, Italy. Claude's email address is: claude.balbi@wanado.fr. Franck Balbi lives in Nice, France. He tells us that in Nice there is a street named Balbi. Franck's grandfather, Louis ( Luigi ) Balbi was born in 1915, in Lodi, outside Milan,Italy. He and Claude Balbi's (above listing) grandfather from Bollene, Vaucluse, France were cousins. Franck's great grand father was Pietro Balbi. His name was originally Giuseppe Pietro Balbi but his name was changed when he took French citizenship. He had been in a WWI prisoner camp. Upon his return he found his son Louis, Franck's grandfather, in an orphanage. Pietro's wife and 2 other children died of the Spanish Flu which swept across that part of Europe in 1917-18. Frank's grandfather, Louis was brought to Marseille, France in 1919/20 where he stayed with his uncle, Amedeo Balbi. Louis was 4 or 5 years old at the time. Pietro subsequently married Elisa Dayne who was from Cuomonte, Piedmont, Italy. Elisa had family in the United States. Pietro and Elisa had 2 daughters. Louis married a French woman and they had 3 children: Franck's uncle (1940) Pierre; his aunt (1942) Jacqueline; and his father (1945) Jean Louis Balbi. Frank's grandfather Louis died in 1999 and his wife Lucienne is still alive. They had 5 grand daughters and 1 grand son, Franck. Franck is 40 years old, and had an international career as a ballet dancer for about 18 years during which he performed a lot in the US and around the world. He is also a choreographer and a teacher. Franck's email address is: franck0684@hotmail.fr. Serge Balbi was born in La Salle and lives in Paris. He has two daughters, Audrey and Alice. His father, Julien Balbi was born in Berre les Alpes 06, near Nice, in 1918. Serge's grandfather, Antoine Louis Joseph Ange Balbi was born in Nice in 1889, and his great grand father, Julien Antoine Marie Balbi was born in Nice in 1841. Serge's great-great grandfather Louis Balbi was an Italian composer in the areas of Milan and Como, Italy. Serge's email address is: serge.balbi@wanadoo.fr. Jérôme Balbi was born in France, as was his father. His family is from Corsica where, he tells us, they are the only ones with the name of Balbi. His grandfather André, great grandfather Toussaint, and great great grandfather Gaëtan were also born in Corsica. Gaëtan's father may have been from Italy and his name was either Bonaventura or Buenaventura. Jérôme's email address is jbalbi@sodexi.fr. Sara Balbi lives in Paris. Her father is Mario Balbi, from Genoa. Sara's email address is: sarabalbi@gmail.com. André Balbi was born in Nice. He has three children, Mireille, Frédéric, and Elise. André's father Francois was also born in Nice, in 1944. André''s email address is: balbi-anglet@orange.fr. Mario Balbi lives in London, England. His family relocated near Rome after a colonial past in Libya. Mario's great grandfather was born in Serravalle, in the Scrivia area of Italy in the late 1800's. He was the son of Brunone and Graziosa Maggi. It is believed he had a brother Francesco who studied for the priesthood in Serravalle and later immigrated to California. Mario's email address is: mariobalbi@hotmail.com. Jon Balbi, his wife Sue, and sons Kevin and Ian live in Berkshire England. Jon is descended from Albert Paul Balbi, born in Holborn, London in 1879. Their email address is: jon.balbi@ntlworld.com. Jean-Paul Balbi lives in Bradford, England. His mother is Christine Balbi (English) and his father is Giuseppe (Italian). Now separated, his parents met in Switzerland. At the present time his father and wife Daniella are living in Genoa, Italy. Jean-Paul has a brother, Alberto and two sisters, Valentina and Martina Balbi. Jean-Paul's email address is: jean.paul.balbi@o2.com. Peter Balbi lives near Cambridge, England. His family traces their Balbi ancestors in the UK to about 1840 when they lived in Shoreditch in London. Peter's email address is: balbis@ntlworld.com. Carlo Balbi was born in Ronco Scrivia, Italy and that is where he grew up. He is now living in London, UK where he is in the process of finishing his master's degree in International Finance and studying for his professional qualification. Carlo's father is Attilio Balbi. Going back two generations, there are Balbis on both of Carlos' grandparents and great grandparents sides: His grandparents Ugo and Zita were both Balbis, his great great grandparents (Ugo's parents) Giovanni and Barbara were both Balbis, and his great great grandparents (Zito's parents) were also Balbis! Carlo likes reading, writing, salsa, keeping fit and martial arts. Carlo's email address is: carlo09@tiscali.co.uk. Tony Balbi, his wife Jacqueline and their three children, Clare, Stephen and Keith live in the Northamptonshire village of Everdon, England. Tony's only brother David Balbi died in 2002 and left one son, Alex Balbi. Tony's father was Michele Balbi who was born in the Comune Di Palma Campania, in the Province of Naples, Italy in 1923. Michele went to England as a prisoner of war, was re-patriated and then returned to Italy to marry Margaret Mizzi. Margaret's mother was Elsie Waddoups, an English farmer's daughter and her father was Salvatore Mizzi from Malta. Tony's email address is: a.balbi@btinternet.com. Lynn Dean and her daughter Fredericka live in Newcastle-under Lyme in Staffordshire. Lynn's great great grandfather was Theodoro Balbi from Genoa, Italy. Theodoro relocated to England in the 19th century and married an Italian woman from Naples whose family name was Franco. Lynn's great grandfather, Albert Paul Balbi was born in Holborn, London in 1879. Albert's daughter Louie, one of 12 children, was Lynn's grandmother. Lynn's email address is: Lynn.Dean@nstaffsh.wmids.nhs.uk. Paul Balbi lives in the UK. His email address is: paulandkathy01@yahoo.co.uk. Rebecca Balbi lives in Devon, England. Her email address is: Beckyb1234@aol.com. Anita Marion (Connerton) and her husband Alan Bell live in Hungerford, Berkshire. One of Anita's great grandparents was Teresa Balbi. Anita's parents were Charles Daniel Connerton and Fortunata Anna Teresa Frevola who were married in Lahore, Pakistan in 1933. Fortunata Anna Teresa Frevola's parents were Giosue Frevola, born in 1881 and Anita Maria Cilento, born in 1891. Anita Maria's parents were Captain Giovanni Battista Cilento of the S.S. Anita, born in 1846 and Teresa Balbi, who was from Genoa. Teresa Balbi was the daughter of the Marquis Balbi di Genoa and Dominica Gotti, the sister of Cardinal Gotti. Dominica was the daughter of the Court dressmaker of the period and accompanied her mother on some of her visits to the Balbi residence. The Marquis Balbi met Dominica on these visits and married in the face of opposition. Teresa had a sister who married a Colonel Bates of the British Army. Anita Marion's email address is: marion.bell@talktalk.net. Adrian Balbi, his wife Margrith, children Anna, Adrian Philipp E. and Eleonora, and siblings Monica, Anita and Gerhard live in Switzerland. Adrian's Balbi heritage is as follows: Dominik Balbi, 1818, Johan Baptist Balbi 1857-1930, Clemens Ernst Balbi, 1898-1944 and Ernst Josef Balbi 1912-1998. Their email addresses are: mailto:adrian.balbi@kfnmail.ch and mailto:margrith.balbi@kfnmail.ch. Dr. Miriam Balbi Pinto lives in Germany. Her great-grandfather was Domenico Balbi who immigrated with his family from Italy in 1900. Domenico's son was Miguel Caiafa Balbi (Miriam's father) from Campos, Brazil and her uncle was Miguel Angelo Tiexera Balbi (listed in Brazil) who died in 2005. 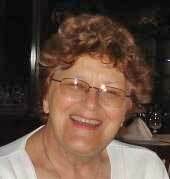 Miriam's mother, Dr. Marilene Balbi (Miguel Angelo's sister) was a mathematics professor in Rio de Janeiro, Brazil. At a conference in Rio, Marilene met a German professor whom she subsequently married. In 1983 the family moved to Regensburg Germany. Miriam studied pharmaceutical chemistry. She married a Koller and they have two children, Lisa and Luis. Miriam's email address is: mbalbide@yahoo.de. Gabriel Castro-Balbi, his wife Anna and their son Daniel have lived in Germany since 1982. Gabriel's mother, Magdalena Balbi Jara was born in Lima, Peru and is related to the Balbi family through her great grandfather, Alfredo Balbi. Gabriel's email address is: Gabriel_Castro-Balbi@informatik-kooperation.de. Luisa Balbi Riquelme lives in Holland with her husband and daughter. She was originally from Chile. Her parents are Luis balbi Aramini and Ana Riquelme Henriquez. Her father was from the province of Alessandria Italy and immigrated to Chile in 1920. Luisa's email address is: louisameijers@hotmail.com. Raquel Balbi da Silva van Oerle and her husband live in Holland. She was born in the city of Além Paraíba in the state of Minas Gerais, Brazil. Both of her great-grandfathers were born in Italy. Raquel's email address is: raquel_balbi@yahoo.com.br. Marco Ferriera Balbi lives in Lisbon, Portugal. His father is Antonio Manual Dos Santos Balbi and his grandfather Licino Balbi Lopes, born in Lisbon, is his grandfather. Marco's email address is: as1505244@sapo.pt. Ana Teresa Balbi lives in Lisbon, Portugal. Her mother is Rosário Balbi and her Grandmother is Maria Teresa Balbi. Ana's email address is: balbiteatro@hotmail.com. Paula Mariza Balbi Soares Guilherme Pepe lives in Oeiras, Lisbon, Portugal. Her mother was Margarida Maria Balbi Soares Guilherme and her grandmother was Conceição Balbi. Paula's email address is: prodrigues2@msn.com. Elisabete Balby Esteves and her husband Rui Esteves live in Portugal. Elisabete's great grandfather, Antonio Balbi, was an Italian mathematic's teacher who immigrated to Portugal in the early 1900s. At that time he changed his named to Balby. He was possibly from Genoa or Piedemonte, Italy. Antonio died in the Portuguese island of Madiera. His family is seeking information about Antonio and their Balbi ancestors. Elisabete's email address is: rui.esteves@sapo.pt. Elsio Gabriel Boscov Balbis is from Baleares, Spain. His Balbi ancestors were from initially from Italy and in the past immigrated to Uruguay. Elsio's email address is: zinke5@yahoo.es. Patrizia Rauch Balbi is from Spain. Her grandmother, Aida Balbi Picone was born in Genoa, Italy. Aida married Antonio Gutierrez from Spain and they had five daughters, some of whom remained in Spain and others immigrated to Argentina. Patrizia is an import agent and horse riding judge and coach and her husband Jose A. Polo is employed with Sony Enterprises. They have two sons, Borja and Hugo. Patrizia's email address is: patrizia.aida.balbi@gmail.com. Renato Alfonso Libero Balbi, his wife Myrna and their children Louisa and Delia live in Canada. Renato Balbi's parents, Arrigo Libero Vittorio Balbi (1915 - 1975) and Armida Teresa Maniago were from Trieste. Renato's siblings are Fernanda, Dana and Lonny. Renato and Myrna's email address is: balbi@telusplanet.net. William Raniti and his sister Patricia live in Australia. Their mother is Ines Juana Balbi and her parents were Luigi Balbi and Clementina Affranchino de Balbi. Luigi and Clementina were born in Issola del Cantone Borlasca, near Genoa, Italy around 1880. They immigrated to Argentina where they had four children: Chara, Elsa, Luis, and Ines (mother of William and Patricia), who now lives in Australia. Luigi Balbi had five brothers and two sisters. Clementina's family still lives in Genoa. She had a sister Rachelle who lived to the age of 105. Ines Juana Balbi is the aunt of Guillermo Balbi who lives in Argentina. Patricia's email address is: argentina007@bigpond.com. Donald Balbi lives in Australia. He is related to Clare Balbi and her sister Eileen Balbi Swingle who live in the United States. Their Balbi ancestry has been traced to Genoa, Italy in the 1600s. Donald's parents were Charles Mackenzie Raphael Balbi (born in London in 1895 and died in Jersey, Channel Islands 1974) and Phyllis Muriel Louis (Pearson) Balbi. In addition to Donald they had another son, Joseph (also known as Peter). Donald and his wife Anthea Wendy (Bell) Balbi had four children: Jennifer, Jonathan, Matthew and Garry. Donald's brother Joseph is married to Mary (Wade) Balbi and they have two children, David and Helen who have two children, Daniel and Luke. Donald's, Clare's and Eileen's branch is related to the branch of Cindy Balbi Oliver. Donald's email address is: donaldbalbi@ozemail.com.au. Sheila Miller lives in Australia. Her mother was Kathleen Balbi from England. Sheila has four children: Vanessa, Delia, Tanya and Kane Miller. Sheila's email address is: sheilamiller3@bigpond.com. Pedro Anibal Balbi Moreno lives in Mexico. His grandfather was Alfredo Balbi Quimbi, and great grandfather was Pietro Balbi Vitelli who emigrated from Genoa to Mexico in the early 1900's. Pedro's father is Pedro Balbi Compean who has four sisters and a brother: Carmela, Cristina, Minerva, Ofelia and Alfredo. His grandfather Alfredo has a brother Vicenti Balbi who has three children. Pedro is 25 years old and is a doctoral student. He has three brothers, Braulio, David, Aldo, and two sisters, Maria and Sofia. Pedro's email address is: petrocantropus@yahoo.com. Rafael Balbi and his wife Mariana Doet Zepeda Orozco live in Mexico. His father is José Fernando Guitton Balbi, from Niterói, Rio de Janeiro, Brazil. Jesús Enrique Saavedra Balbi lives in Guadalajara. His mother is Irma Yolanda Balbi Méndez and he has two sisters, Ana Elizabeth and Gisela Michele. His grandfather, Michele Balbi, was born in 1908 in Torre de Greco, Naples, Italy and was a merchant sailor who immigrated to Mexico after World War II. He married Mercy Mendez Rosales de Autlan and they had six children. Jesús' email address is: kike_chivagdl@hotmail.com. Michele Balbi lives in Colima. His father is Salvador Balbi and his grandfather, Michele Balbi, born in 1908 was from Torre Del Greco, Naples, Italy. Michele (the younger) is a cousin of Jesús Enrique Saavedra Balbi, (above listing). Michele's father, Salvador married Paula González Gascón. Michele has two brothers, Mauricio Salvador and Marco Giovanni. Michele's family moved from Guadalajara to Colima about 17 years ago. His email address is: mich.balbi@gmail.com. Manolo Balbis is from Cuba. He now lives in Miami, and has also lived in Italy, France and Argentina. 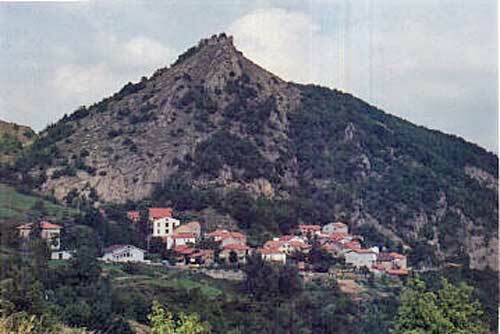 Manolo's grandfather immigrated to Cuba from a small village in Northern Spain, near La Coruña, named San Martin de Lestón. His grandfather and brother Pedro immigrated to Cuba in 1895. They had another brother, Manual, who remained in Spain. Manolo's email address is: Maweet@aol.com. Enrique Balbis lives in Cienfuegos, Cuba. He is a professor at the University of Cienfuegos and is a mechanical engineer. He has two daughters, Milen and Mileisy, both of whom are university students. Enrique's email address is: ebalbis@yahoo.com and ebalbis@fmec.ucf.edu.cu. Milen and Mileisy Balbis live in Cienfuegos, Cuba. They are daughters of Enrique Balbis (above). Their grandfather Abelardo Balbis and his siblings: Pelayo, Roberto, Zoraida and Ofelia were born in Cuba and now live in the United States, as do their descendants. Their uncles Santiago Balbis, Margarita Balbis and two cousins Santy Balbis and Elizabeth Balbis, live in Cuba. Milen's email address is: milenbalbis@yahoo.com. Criastina Balbis Yraola, an architect, was born in the province of Camagüey, Cuba. She has two brothers, Carlos Enrique Balbis Guerra, and Carlos Albertos Balbis Yraola, whose children are Catherine Balbis Fernàndez and Carlos Balbis Fernàndez. Criastina's father is Carlos Francisco Balbis Filberto and her mother is Silvia. Her grandfather was Francisco Balbi Gutierres. Criastina's great-grandfather, from San Martin de Leston, near La Coruña in the north of Spain, immigrated to Cuba in 1895 with his brother Pedro, while another brother, Manuel, remained in Spain. Criastina's great-grandfather settled in the province of Matanzas and had five children: Pedro, Manolo, Francisco, Armando, Maria and Elia. Criastina's aunt, Elia Balbis, has two sons, Armando Ayllon Balbis and Francisco Ayllon Balbis. Criastina has a niece, Catherine Balbis Fernàndez, and a nephew, Carlos Jose Balbis Fernàndez. Criastina's email is: crisbalbis@yahoo.es and her mother' email address is: silvia@esiaonce.cu. Yngrid Balbi lives in Santo Domingo in the Dominican Republic. She is a psychologist. Yngrid is married to Eliseo Guererro and they have two daughters, Alyn and Elisa. Yngrid's parents are Jaime Balbi and Angela Devarez. Her grandparents are Andres Balbi and Isabel Peña, both from San Francisco of Macoris, Dominican Republic. Yngrid's great grandparents were Santiago Balbi and Juana Terrero, also Dominican. Yngrid's email address is: ybalbi@yahoo.com.ar. Yocasta Dipla Balbi lives in Santo Domingo in the Dominican Republic and is Yngrid Balbi's cousin (above). Yocasta's great grandfather is Andres Balbi, her grandfather is Tulio Balbi, and her mother is Ramona Balbi. Yajaira Balbi Roque is from San Francisco de Macoris in the Dominican Republic and at this time is living in Florida where she is in the banking business. Her sisters are Raquel Balbi Roque and Olmeda Balbi Roque. Yajaira's father is Olmedo R. Balbi and her mother is Elia I. Roque de Balbi. Yajaira's great grandfather is Andres Balbi. Yajaira's grandfather's name is Tulio Balbi. Yajaira's family is related to Yocasta Dipla Balbi's family in the above listing. Yajaira's email address is: yajywilly2@bellsouth.net. Arismendi Francisco Balbi Paulino is from the Dominican Republic. He lives in the city of San Francisco de Macoris which is north of the city of Santo Domingo. He has two brothers, Maria and Agustin. Arismendi's great grandfather is Francisco Balbi, his grandfather is Ramon Balbi and his father is Francisco Balbi. Arismendi's email address is: Abalbi79@hotmail.com. Edwin Balbi Ramirez, brother of Cesar Agustin Balbi Ramirez is president of Empresa de Comunicaciones Caribbean Phone S. A. Dominicana. Edwin's email address is: Master_caribbean_phone@hotmail.com. Lady L.L. Balbi lives in the Dominican Republic, where there is a large group of Balbis. Her grandfather is Apolinar Balbi and is 79 years old. Her email address is: leidydmx@hotmail.com. Iris Balbi Ulerio lives in the Dominican Republic in a city called San Francisco de Macoris. Her father's name is Demetrio Balbi Martinez. Iris' email address is: balbyy@datocentro.com. Ismael Liriano Balbi lives in the Dominican Republic with his family which includes his three sisters. His grandfather's name is Apolinar Balbi. Ismael's email address is: ismael1824@hotmail.com. Mary Josefina Balbi Reyes lives in San Francisco de Macoris. She is in the medical profession. Her parents are Nery Moises Balbi Mayi and Maria Reyes de Balbi. Her great grandfather, Santiago Balbi, relocated temporarily from his native France to the Dominican Republic to work in the construction of the railroad, since he was a prominent engineer. Mary Josefina's grandparents are Victor Balbi Terrero and Juana Terrero de Balbi who had nine children: Victor, Andres, Vicente, Mauricio, Engracia were among them. Mary Josefina has six siblings: Victor Ruddy, Nery Antonio, Cecilia Ramona, Julio Cesar and Martin Orlando. Mary Josefina's family has lost contact with that part of their family who returned to France and they are very interested in reestablishing contact. Mary Josefina's email addresses are: mbalbireyes4@yahoo.com or mjbalbi@hotmail.com. Grisel Burgos Balbi lives in the Dominican republic. He has one brother, Luis Manuel Burgos Balbi. Grisel's mother is Carmen Esperanza Balbi de Burgos and his father is Rafael Burgos Rosario. Grisel's maternal grandfather was Luis Maria Balbi Marte and Grisel's grandmother was Luz Toribio de Balbi. They had 17 children: Ramon, Gregorio, Luis, Juanito, Antonio, Marcelino, Asuncion, Francisca, Aurora, Maria, Agustina, Guarina, Lidia, Altagracia, Delcia, Belgica, Antolina, Tobias, Demetrio, Elpidio, Ramona and Dina. Grisel's great grandfather was Santiago Balbi and his Balbi branch is related to that of Mary Josefina Balbi Reyes in the listing above. Grisel's email address is: grisselb@hotmail.com. Jose Balbi Rojas lives in San Francisco De Macoris. His parents are Eugene Balbi and Alexsandra Rojas. Jose's contemporary writing includes poetry, novels, films and songs. His email address is: speeromeo@hotmail.com. Rosa Andreina Balbi Ferreras lives in San Francisco de Macoris in the Dominican Repuiblic. Her father is Porfirio Andres Balbi Reyes and her grandparents are Jose Balbi and Rosa Reyes. Rosa's emas addresses are: rosaandreinabalbi@hotmail.com and gury500@hotmail.com. Walter Hugo Balbi Casas, his wife Graciela Broch, their three children Eduardo, Maria Alejandra, Pablo and grandchildren live in Uruguay. Walter has five siblings. His father was Hugo Audemar Balbi Arigon and his grandfather was Juan Pablo Balbi who emigrated from Italy in the mid-1800's. Walter is a Colonel in the Uruguayan Army. His email address is: wbalbi@adinet.com.uy. Maria Adriana Podesta and her cousin Richard Mecoll are from Uruguay. They are related through Balbi ancestors. Her grandfather Amedeo Podesta and Richard's grandfather Alejandro were brothers. Their parients were Luis Podesta and Maria Balbi, both Italians. Maria Balbi's father was Juan Balbi who married Maria Grattona, and they immigrated to either Uruguay or Argentina. Maria Adriana's sister Maria Silvina has two daughters, Federica and Joaquina Olivera. Maria Adriana's email address is: mapodesta@piso3.imm.gub.uy. Carlos Balbi Walser is from Uruguay. His email address is: carlosbw@adinet.com.uy. Arianna Balbi and her brother Pablo Balbi Caruso are from Uruguay. Their grandfather emigrated from Genoa, Italy in the 1850s to Uruguay. Arianna's email address is ariannabalbi@netvisao.pt and Pablo's email address is: pbcaruso@gmail.com. Sebastián Balbi lives in Uruguay. His parents are Sergio and Adriana Balbi. His grandparents are Carlos and Bianca Balbi. Carlos Balbi's parents were Pedro Balbi and Gigia Piano. Bianca's parents are Carmelo Balbi and Angelita Arvelo. Sebastián's great great grandparents were born in Italy. Sebastián's email address is: asabarro@adinet.com.uy. Juan Ignacio Balbi Ferreira and his sister Natalia Balbi Giorello live in Uruguay. Their grandparents were Froilan Placido Balbi Battino, who immigrated from Italy, and his wife Maria Eva Valdez. Their children are: Margot, Teresa, Angel, Cristina, Elena, and Miguel Angel who is Juan's and Natalia's father. Juan's email address is: juanbalbif@hotmail.com. Natalia's email address is: nataliabalbigiorello@gmail.com. Mateo Francisco Balbi and his brother Rodrigo Balbi live in Uruguay. Their father is Gustavo Francisco Balbi, their grandfather is Juan Francisco Balbi Bonavia, their great grandfather was Francisco Balbi, born in 1889, and great-great grandfather, Francisco Balbi, was born in 1854. The family imigrated from Genoa, Italy to Paraguay, Argentina and Uruguay. Francisco's email address is: mateo.b29@adinet.com.uy; and Rodrigo's email address is: balbi.gustavo@gmail.com. John Balbi was born in Uruguay. His Balbi ancestors are from Ronco Scrivia, Italy, including Nicola Balbi who was born in 1965 and baptized in San Martin Parish, Ronco Scrivia. His father is Angelo Balbi and his grandfather is Giuseppe Balbi. John's email address is: johnfis82@yahoo.es. Diego Balbi lives in Argentina. His father, Juan Jose Balbi, and his grandfather, Santiago Sixto Balbi were born in Argentina. Diego's great grandfather, Juan Bautista Balbi was born in 1879 in Ronco Scrivia, located north of Genoa. Diego's great-great grandparents were Angel Balbi and Maria Rascia. Diego's uncle Carlos Alberto Balbi lives in Vicente Lopez Pcia, Buenos Aires. Diego has a son, Sebastiàn born on February 24, 2004. Diego's email address is: diego@undersabanas.com.ar. Abel Leonardo Coup Balbi lives in Argentina. His Balbi relatives are on his mother Angela Balbi's side. She married Abel's father, Agustin Coup. Abel's maternal grandfather Agostino Balbi was born in Ronco Scrivia, north of Genoa in 1871. Abel's grandfather and two brothers, Jose and Antonio Balbi, immigrated to Argentina. In Argentina Agustino married Abel's grandmother, Rosa (Teresa) Costa and they had six daughters and six sons: Angela, Rosa, Emilia, Ana, Emma, Adela, Victorio, Jose, Americo, Guillermo, Francesco and Orlando. Abel is a retired Electronic Engineer who worked for NASA, a satellite tracking station in Argentina, and the YACYRETA Dam. Abel's web site is: http://www.thirdage.com/cgi-bin/pp.cgi?v+acoup and his email address is: coup2004@speedy.com.ar. Mariana Eguaras Etchetto's Balbi relatives were from Ronco Scrivia, Italy. Her great grandfather was Agostino Balbi, born in Ronco Scrivia in 1871. He married Angela Morgavi, born in 1878, from San Martin, Buenos Aires, Argentina. Their daughter Adela Balbi married Jose Miguel Etchetto. Their daughter Olga Etchetto married Rafael Andres Eguaras. Their two children are Mariana and Maximiliano Echetto. Mariana is related to Abel Lenardo Coup Balbi (above). She is also related to Nester Omar Balbi (below), because their grandfather and grandmother were siblings. Mariana's email address is: mreguaras@yahoo.com. Abel Eduardo Balbi is from Argentina. He is a priest and is currently located at St. Joseph Catholic Church in Barstow, California. Father Balbi's father was Mario Jose Balbi, and his mother is Elda Nidia Massafro Balbi who lives in Argentina. Abel's grandparents were Jose Balbi and Magdalena Tasca who were from Castelferro, Bórmida, Italy which is in the Alessandria area. His email address is: pbalbi5@hotmail.com. Nestor Omar Balbi, his wife Alicia Almaras and their two children, Sabrina Soledad and Omar Alejandro, live in Emilio V. Bunge in the County of Buenos Aires. Omar is a Veterinarian. His great-great grandfather was Giuseppe Balbi, born in 1871 in Ronco Scrivia, Italy. He married Teresa Costa and they had three children: Antonio, Agostino, and Jose. Agostino Balbi married Catalina Morgavi and they had 12 children: Angela, Rosa, Emilia, Francisco, Emma, Ana, Adela, Victorio, Jose, Americo, Guillermo, and Orlando. Francisco Balbi married Ines Romero and they had two children: Eva and Eyers. Eyres Balbi married Orfilia Rojas and they had three children: Nestor Omar, Elvio Lucio, and Mara Elizabeth. Omar's email address is: cbunge@servicoopsa.com.ar. Mauricio Salvador Balbi, his wife Natalia and their son Valentino live in Victoria Entre Rios. Mauricio's father is Hugo Raul Balbi, his grandfather is Eduardo Raul Balbi and his three aunts are Ana Maria Balbi, Liliana Balbi and Mirta Balbi. Mauricio's mail address is: mauriciobalbi@hotmail.com. Alicia Scotto lives in Buenos Aires, Argentina. Alicia's great grandmother was AnnaTeresa Balbi who was born in Genoa between 1860 - 1870, and died between 1910 - 1920. She married Bartolomeo Scotto, and they had four children: 1. Ernesto Segundo Juan Bautista (or Ernesto Secondo Giovanni Battista), born 8/4/1892. He married Onorina (last name unknown), and had one child, a daughter named Noris, born 6/7/1922. She lives in Quilmes, Buenos Aires Province, Argentina. Ernest died in Argentina. 2. Atilio Silvio Scoto Balbi, who was Alicia's grandfather, was born 4/30/1894. He had two children, Stelvio Maria Giuliano born 4/12/1922, who is Alicia's father, and Walter Alberto born around 1931. Atilio died in Argentina in 1981. 3. Amelia was Anna Teresa and Bartolomeo Scotto's third child. She died when she was 13 years old, perhaps in Genova. 4. Armida was the youngest child. She lived in Genova. Alicia contacted her by telephone in 1978 and Armida was around 80 years old at that time. Alicia's email address is: alicia_scotto@amsisa.com.ar. Guillermo Luis Balbi is from Argentina. His father is Luis Alejando Balbi. His grandfather was Luis Balbi born in 1878 and his grandmother was Clementina Picollo de Balbi, both from Boriasca, Genova, Italy. On his Balbi side, Guillermo's great grandparents were Alejandro Balbi and Clara Affranchino. Guillermo is a retired Argentine Coast Guard Lieutenant Commander. At the present time he is a Maritime Surveyor, Master Salvage and deep diver. Ines Juana Balbi , listed under Australia, is Guillermo's aunt. Juan Jose Balbi, his wife Liliana Margarita Loza and their daughters Maria Jose and Marianela live in the town of Junin in the Province of Buenos Aires, Argentina. Juan was born in 1945, and his parents Esteban Victor Balbi and Magdalena Filips de Balbi are both deceased. Juan is a professor of philosophy and education and presently is serving as a Justice Officer for the Province of Buenos Aires. Juan's email address is: crear@escape.com.ar. Jorge Osvaldo Balbi lives in the city of Posadas in the Province of Misiones, Argentina, where his father Oscar Balbi also lives. His father's siblings, Aldo, Adriano and Clelia who are now deceased, were originally from Genoa. Jorge's grandfather Dario Balbi was married to Sofia Pacifico. Jorge's daughter Valeria lives in Buenos Aires where she is attending university. Her email address is: v_balbi@hotmail.com. Jorge's sons are Franco and Bruno, whose email address is: fliabalbi@arnet.com.ar. Jerónimo Oscar Molinas Balbi lives in the city of Posadas in the province of Misiones in Argentina. He is related to the Jorge Osvaldo Balbi family (above listing) through his mother Silvia Georgina Balbi, whose father is Oscar Balbi. Jerónimo's email address is: jomb_2003@yahoo.com.ar. Lucia Priscilla Balbi lives in Argentina. Her father is Horacio Balbi who was born in 1943 in Lomas de Zamora, Buenos Aires; her grandfather was Herminio Balbi; and her great grandfather was Bautista Balbi, born in Piedmont, Italy. Lucia's email address is: madrynjoven@hotmail.com. Juan Pablo Moreno Balbi lives in Argentina. his grandparents are Julio Balbi and Carolina Giribone. He has four Balbi uncles. Anna Maria Balbi lives in Victoria, Entre Rios, Argentina and asked that her name be added to this web page. Her email address is: jpobertitam@ciudad.com.ar. Gustavo Balbi and his family live in Argentina. His father Juan Jose and grandfather Juan Gaspar were born in Argentina. Gustavo's great grandfather Angelo Pietro Giuseppe Balbi was born in 1858. Angelo's parents were Giovanni Balbi and Maria Grattone who were from the city of Vergagni in the commune of Mongiardino Ligure in the Province of Alessandria. Angelo married Maria Rosa Cordone in 1881 in Mongiardino Ligure. In 1882 the entire family immigrated to Argentina, including the parents of Maria Rosa, Gaspard Cordone and Rita De Repetto. Gustavo's email address is: balbigchu@ciudad.com.ar. Noemi Balbi Cerini lives in Parana, Argentina. In the late 1880's her grandfather, Juan Pablo Balbi immigrated to Argentina from Protolongo, near Genoa. Noemi teaches Spanish language classes. Noemi's email address is: ncerini@ciudad.com.ar. Martin Lopez Sancerni and his family live in Buenos Aires, Argentina. Martin and his sister Maria Andrea's parents are Martha Sancerni who was the daughter of Agustin Sancerni and Luisa Balbi-Somma. His grandmother Luisa born in 1913 had a sister Julia Angelica born in 1919, and a brother Juan Balbi Somma born in 1912. Their parents, who were Martin's great-great grandparents were Celestina Somma and Jose Balbi. Jose was born in Switzerland but his family was originally from Genoa. Martin's email address is: estudioa@fibertel.com.ar. Edgardo Miguel Balbi lives in Argentina. His father is Edgardo Jose Balbi, his grandfather is Juan Antonio Balbi and his great grandfather is Julio Bautista Balbi. Edgardo's email address is: balbiprop@ciudad.com.ar. Fernando Rene Balbi lives in Argentina. His father is Oscar Jose Balbi and his uncle is Roberto Balbi. Fernando's grandfather father was Ramon Pedro Balbi who was born in 1896 and died in 1955. Fernando is trying to learn more about his Balbi ancestry in Italy. His Argentinean Balbi ancestors are buried in a vault in Pergamino in the province of Argentina. His great grandfather emigrated from Italy in the 19th century, but Fernando does not know what year. Daniel Balbi lives in Buenos Aires, Argentina. He is the son of Nelio Balbi and grandson of Vitalino Balbi of San Ponzo Semola in Pavia, Italy. María Alejandra Balbi and her brother Martín Balbi live in Argentina, where María Alejandra is a psychologist. Their father is Eduardo and their uncle is Adolfo Balbi. Alejandro Balbis is from Argentina. His great grandfather, José Balbis was born in Italy. His grandfather Luis Antonio Balbis was born in Llamado Corral de Bustos in the province of Córdoba. Alejandro's email address is: alejandrobalbis@hotmail.com. Sebastián Balbi is from Victoria, Entre Ríos, Argentina. Sebastián's father, Eduardo Juan Balbi is a Veterinarian and his mother is a professor of language and literature. Sebastián has four brothers and one sister. He is presently developing his thesis in preparation for a degree in Social Communication. Sebastián's email address is: chebilux@yahoo.es and his website address is: http://www.victoriaglobal.com.ar. Carlos María Balbi lives in Entre Rios, Argentina. His father is Juan Carlos Balbi and his grandfather is Carlos María Balbi. Carlos' email address is: valandilsurion@hotmail.com. Fernando Luis Balbi lives in Junin which is a province in Buenos Aires, Argentina. He has two children, Alexander Ezequiel Balbi and Gisela Denisse Balbi. Fernando's father, Oreste Luis Balbi was also born in Junin. Fernando's grandfather is Luis Gregorio Balbi. Fernando's email address is: fbalbicpn@yahoo.com.ar. Felipe Briones lives in San Isidro, Buenos Aires. His email address is: felipe_briones94@hotmail.com. Laura Balbi lives in Argentina. Her Balbi family is originally from Genoa, Italy. Her grandfather was Ivan Lictor Balbi who was married to Mercedes Boragno. They lived in Buenos Aires where they had three children: Eddy Arnold Balbi, Nelca Balbi and Jorge Balbi. Eddy Arnold Balbi (Laura's father) married Sara Capadegui and they had Laura and Sebastian Balbi. Nelca married Antonelli and they had three children and Jorge Balbi married Norma DiCatarina. Laura's email addres is: laurabalbi54@hotmail.com. Maria Isabel de Lourde Taborda Balbi and her husband live in Argentina. Her parents, Victoria and Benito Balbi emigrated from Italy to Argentina. Maria is the oldest of four children. Her siblings are Susana del Carmen, Jorge Nélson, and Elsa Graciela. Maria's email can be sent to: DECAROLI@lmaasa.com. Giuseppe Balbi and his wife Josefina Candiano live in Buenos Aires, Argentina. Their daughter Liliana has two sons, Cristian and Romina Gigena. Giuseppe's two brothers Mario and Lucia also live in Buenos Aires, Argentina. The three brothers were born in Roccagloriosa, in the province of Salerno, Italy. Their parents are Vincenzo and Rafaela Tambasco Balbi and their grandfather is also named Giuseppe. They are descended from the Balbi family of Venice. Giuseppe's email can be sent to: cristianrata314@yahoo.com.ar. Laura Muselman lives in Argentina. Her grandparents are Luis and Amelia Balbi. Luis was born in Genoa, Italy. He and Amelia left Italy and settled in Argentina where they had three children: Liliana (Laura's mother), Osvaldo and Ricardo. Liliana married Mahamud Muselman and they had three children: Pablo, Silvia and Laura. grew up listening to stories about the history of Genoa and the Mediterranean Sea. Laura's uncle still lives in Milan. Laura's email address is: lauramuselman@msn.com or lauramuselman@yahoo.com.ar. Marta Ester Balbi lives in Hudson in the Province of Buenos Aires, Argentina. Her grandfather was Francisco Balbi and her father, Pedro Balbi. Marta is a very distinguished scholar and two of her children are working in the arts. Marta received the Price of the Secretariat of Culture of the Nation for Poetry. Ruben Alexander Balbi, his wife Sylvia Mercedes Badin and their daughter Agustina Magalí Balbi live in Bernal in the Province of Buenos Aires, Argentina. Ruben's grandfather Cesar Angel Balbi was born in Rosario, Argentina and emigrated to Italy. He married Angela Francesca Balbi and they lived in Cipollina, Genoa, Italy and later relocated to Palermo, Italy. Cesar and Angela had three children, Ana María Balbi, Augusto Balbi, and José Aldo Balbi who is Ruben's father. José married María Lujan D'Onofrio. Ruben's brother Norberto married Graciela Verónica Camargo and they have twin daughters, Lourdes Belén Balbi and Guadalupe Ayelén Balbi. Ruben's email address is: ruben68@fullzero.com.ar. Diego Guidobono lives in Argentina. His great grandmother is Maria Teresa Balbi who was born in Ronco Scrivia, Italy. Diego's email address is: diego@guidobono.com.ar. Gilberto Abel Morgavi lives in the city of Tandil in the Province of Buenos Aires, Argentina. His great grandparents were Teresa Balbi and Juan Morgavi, both from Ronco Scrivia, Italy. Gilberto's email address is: gilbertomorgavi@infovia.com.ar. Ana María Balbi lives in Argentina. Her great great grandparents Juan and Rosa Balbi were born in Ronco Scrivia, Italy. Their son Lorenzo Balbi immigrated to Argentina and resided in Victoria, Entre Ríos. He married Cándida Bernardello. They had seven children, one of whom was Ana's grandfather, Juan Adolfo Balbi who was born in 1881. Juan married Tomasa Santillán and they had 16 children, one of whom was Eduardo Raúl Balbi who is Ana's father. He married Ana's mother Iris Mirta Peracchi. Ana's four brothers and sisters are Hugo, Eduardo, Mirta and Liliana. Ana wrote that starting in 1883 Victoria had a large influx of individuals from Genoa, Italy who were adept at business and agriculture and they left their cultural imprint on the area. Axel Gelroth Balbi lives in Paraná, Entre Ríos, Argentina. He is the son of Gladis Maria Balbi and grandson of Carlos Maria Balbi who passed away ten years ago. Axel is 19 years and says he is committed to learning more about his Balbi ancestry. Alejandro Faraci Balbi lives in Córdoba, Argentina. His parents are Aurelia Teresa Balbi and Guillermo Faraci. Alejandro has three brothers, Guillermo, Julio, and Rina. Alejandro's mother is his Balbi ancestor. Her father was Giulio Steven Balbi born July 3, 1902 in Cassine in the Province of Alessandria, Italy. Her mother, Carolina Giuseppina Giribone was born August 17, 1899 in Montabone, Asti in the Piedmont Province of Italy. His mother's oldest brother, Paul Giovanni Balbi was born in Italy on October 10, 1924. Maria Azucena Sabotigh Balbi lives in Curuzu Cuatia Corrientes in Argentina. Her grandfather was Pedro Balbi. Maria's email address is: dani_panario@hotmail.com. Mariana Balbi lives in Argentina. Her great grandfather, Felix Santiago Balbi (1878-1935) was born in Genoa, Italy and subsequently immigrated to Buenos Aires. His name in Italian is Felice Giacomo Balbi. He had six children, four of whom are: 1. Atilio Florentino Balbi who had three daughters, Margarita, Emilia and Celestina; 2. Pedro Lorenzo Balbi who had a daughter, Susana; 3. Juan Pedro Balbi who had a daughter, Maria Amelia; and 4. Alfredo Virginio Balbi (Mariana's grandfather) had three children, Felix Alfredo, Carlos Alberto and Liliana Alicia. Mariana's father Felix Alfredo Balbi had four other children in addition to Mariana, Paul Beatriz, Germán Ariel, Nicholás Leandro, and Santiago Jose Balbi. Mariana's uncle Carlos Alberto Balbi had four children, Marcelo, Fernando, Gabriela, and Pablo Balbi. Mariana's email address is: maruckabalbi@hotmail.com. Bárbara Balbi lives in Pergamino, Buenos Aires, Argentina. She is 16 years old. Her father is Raúl Balbi and her grandparents are Raúl Andrés Balbi and Lady Amelia Reynaldi. Bárbara's email address is: lapota_07@hotmail.com. Fábian Zorzabal Affranchino lives in Argentina. His great great grand parents were Gio Batta Affranchino and Antonia Balbi. Their sons, Miguel and Nicolás Affranchino were born in Italy and immigrated to Argentina before 1864. Miguel was born in Isola Del Cantone and Nicolás was born in Ronco Scrivia. Both cities are slightly north of Genoa, Italy. Fábian's email address is: zorzabal@arnet.com.ar. Agustina Scarano lives in Argentina. Her mother is Marta Alicia Balbi and her grandfather was Pablo Raul Balbi who was born in Italy. Agustina's great-grandfather was Lorenzo Balbi who had two brothers, Juan and Justo Balbi. Agustina's email address is: a.scarano@ipcva.com.ar. Carlos Gabriel Balbi is the son of Juan Carlos Balbi (Tochy). Carlos is married to Marisa del Carmen Aguirre. He is the great-grandson of Juan Bartolome Balbi who was born in Curuzu, in the province of Corrientes, Argentina. Carlos' great- grandfather was Jose Balbi who was born in Italy. Carlos' email address is: diegobalbi_crc9@hotmail.com. Jorge Raúl Balbi lives in Argentina. He and his wife Isabel Bagnato have two children and five grandchildren. Jorge's grandfather emigrated from Genoa, Italy to Argentina in 1892 where he married Haydeé Clara Perez and had three children, including Jorge's father Luis Robert. Jorge is a sales person with Bell Motors. His email address is: jorge@bellmotors.com. Laura Balbis lives in La Plata, Buenos Aires. Her parents are Ismael Balbis and Rosa Gattini. Her grandparents are Juan Felipe Balbi and Angelica Tossononi who also live in La Plata. Laura has two siblings, Carla and Alejandro. Her aunts and uncles are Dora Balbis, Daniel Balbis and Roberto Balbis. Laura's email address is: laubalbis@gcisa.com.ar. Maria Cristina Balbis lives in Argentina. Her father, Luis Antonio Balbis lives in Corral de Bustos. Her grandfather, Jose Balbis was born in Cuneo, Italy in 1879. Her great-grandparents were Constancio Balbis and Margarita Colombano, also from Cuneo. They immigrated to Argentina in 1882. Maria Cristina's grandfather Jose married Catalina Celestina Lingua who is the daughter of Santiago Lingua and Francisco Rabis, from Cuneo. Mary Cristina's email address is: mperezdeobanos@staeufemia.com.ar. Liliana Graciela San Martin, her husband Hector and their two children, Nicolas and Mariana live in Argentina. Liliana's mother is Rosa Albina Balbi. Liliana has a twin sister, Virginia who lives in Las Palmas de Gran Canaria, Spain. Lilliana's email address is: sanmartinli@hotmail.com. Macedonio Balbi and his wife Silvia Pott Balbi live in Argentina. His grandfather, Enrico Balbi, immigrated to Argentina after World War I. Email can be sent to::silviaepott@hotmail.com. Susana Maria Balbi lives in Cordoba, Argentina. Her father was Alfredo Balbi and her grandfather was Esteban Balbi whom she believes was from the Piedmont area of Italy. Susana has six children. Her email address is: susanabalbi217@hotmail.com. Juan Carlos Balbi lives in the province of Corrientes, Argentina. His great grandfather, Juan Bartolome Balbi was born in the province of Corrientes where he raised his Balbi family. Juan Carlos' email address is: carlos_balbi_@hotmail.com. Maria Zulma Balbi lives in Parana, Entree Rios. Her grandfather was Juan Balbi from the City of Victoria who had sixteen children. Maria's father was Juan Pablo Isaac Balbi. Maria's siblings are Lucia Blanca Elana, Delia Aurora, Juana, and Juan Adolfo who live in the city of Crespo, Entre rios. Maria's email address is: ivanbellmann@hotmail.com. Laura Maria Raimondi Bali lives in Santa Fe, Argentina. Her great grandfather was Giorgio Balbi who was born in Cassinee, Italy in 1848. Laura's family still has relatives in Cassinne. Her email address is: lauraimondi_7@hotmail.com. Diego Alejandro Balbi lives in the province of Corrientes, Argentina. His parents are Juan Carlos Balbi and Marisa del Carmen Aguirre. Diego's grandfather is Juan Carlos Balbi and his grandmother is Maria Emilse Levatti. Diego's email address is: dieguito_regatas9@hotmail.com. Guadalupe Balbi lives in Villa Gesel, Argentina. Her father is Victor Fernando Balbi and her grandfather is Estaban Balbi. She has two sisters, Maria Celeste and Ana Clara. Guadalupe's email address is guadalupebalbi@gesell.com.ar. Natalia Boero Balbi was born in La Plata, Buenos Aires. Her mother is Matilde Balbi and her grandfather is Jose Maria Balbi. Her great grandfather is Hortensia and great-great grandfather was Galleano Balbi, both of Entre Rios, Argentina. Natalia's email address isnatalia_boerobalbi@yahoo.com.ar. Luisa Maria Elida Balbi lives in Entre Rios, Argentina. Her Balbi ancestors are from Genoa, Italy. Her grandfather is Emilio Giovanni Balbi and her great grandparents were Luigi Balbi and Livia Da Costa. Luisa's emaila address is balbi_luisa@arnet.com.ar. Bruno Balbi was born in Posadas Misiones, Argentina. His father is Joge O. Balbi and his grandfather is Oscar Balbi. Bruno's email address is elpatadelana@elpatadelana.com.ar. Hugo Juan Balbi and his wife Rosa Ma. Bulla live in Argentina. Rosa, who is from San Francisco, Cordoba, Argentina is a teacher and translator of English. Hugo's great grandparents, Lorenzo Juan and Lucia (Picazzi) Balbi were born in Cassine in the Alessandria area of Italy. After Lucia passed away, Lorenzo and his daughter Angela immigrated to Argentina in 1876. Lorenzo married a second time, to Ana Nonino and they had seven children: Juan, Francisco, Maria, Francisca, Juanita, Catalina and Rosa. Juan married Rosa Santambrosio in Sastre, Santa Fe, Argentina. They had two children, Arnoldo, who was Hugo's father, and Irene who is still healthy and well. Arnoldo married Celina Camandona and they had three children: Hugo and Blanca who are twins, and Rafael. Hugo's email address is bullabalbi@lq.com.ar. Elba Delia Balbi lives in Buenos Aires, Argentina. Her grandfather was Francisco Balbi who married Catalina Balbi (she doesn't know if they were relatives). They immigrated to Argentina from Genoa, Italy and established themselves in Junin, Buenos Aires where they worked as farmers. They had six children: Maria Balbi, Santiago Balbi, Domingo Balbi, Rosa Balbi, Agustin Balbi and Isidoro Balbi who was Elba's father. He married Delia Demicheli. Elba is a physician specializing in Gynecology and Obstetrics. Her email address is: elbabalbi@yahoo.com.ar. Lionel Balbi lives in Buenos Aires, Argentina. His parents are Juan Arcadio Balbi and Adelina Beatriz Suàrez. His grandparent's names are Juan Arcadio Balbi and Elda Isabel Luque. Lionel's email address is: balbi_lionel@arnet.com.ar. Marta Balbi was born in Chivilcoy, Argentina, where she lives today. Her children are Augustina, Luisa, Lorenzo and Juan Pablo Scarano Balbi. Marta's father is Pablo Raul Balbi and her grandfather is Lorenzo Balbi. Marta's email address is: a.scarano@ipcva.com.ar. Mariana Lorraine Balbi, her husband Leonardo Cardoso and their three children, Exequiel, Federico and Agustina live in Victoria, Entre Rios. Mariana's parents are Hugo Raul Balbi and Mirta Isabel Busato. Her paternal grandfather was Eduardo Raul Balbi. She has two siblings, Mauritius and Camila Balbi. Mariana is licensed in Social Work and is a Professor of Classic and Spanish Dances. Mariana's email address is: mariana_balbi@hotmail.com. Arturo Balbi lives in Argentina. His great grandfather was born in Ronco Scrivia, Italy and his great-great grandparents, Juan and Catherine Balbi were also born in the Liguria region of Italy. In 1883 Arturo's ancestors immigrated to Victoria Entre Rios. Arturo's grandfather Eugene Balbi and his father, Esnaldo Balbi were born in Victoria Entre Rios. Arturo's email address is: arturobalbi@yahoo.com.ar. Liliana Balbi lives in Punta Alta, Provende de Bs. As. Her father is Hipolito Jose balb, born in 1939 who is the son of Jose Balbi. Jose might have been Italian or the son of an Italian. Liliana's email address is: lily_punta@hotmail.com. Lydia Carmen Balbi was born in Buenos Aires. She is a Psychologist. Her father was Luis Balbi and her grandparents were Paschal and Magdalena Balbi of Roccagloriosa, Italy. Her father was the oldest of seven children of whom five were women. His brother had two children, Luis who lives in Buenos Aires, and Carlos who lives in Brazil. Lydia's email address is: tuccu41@yahoo.com or edupri@msn.com. Melisa Alicia Pronello lives in Colonia Belgrano, Argentina. Her great-great-grandfather was Giorgio Balbi who was born in Cassine located in the Piedmont area of Italy. Giorgio's son was Pedro Balbi whose daughter, Dora was Melisa's grandmother. Dora married Rogelio Miguel Pronello and they had two children, Jorge Ricardo Pronello and Susana Rita Pronello. Jorge married Alicia Teresita Meinero, and they are Melisa and her sister Paula Jorgelina Pronello's parents. Melisa's aunt Susana Rita Pronello married Walter Falchini and they had two daughters, Silvana Andrea Falchini and Juliana Ines Falchini. Melisa's email address is: meli_pronello@hotmail.com. Bruno Balbi was born in Posadas, Misiones, Argentina. His parents are Osvaldo Balbi and Laura Alicia Bonifato. He has two siblings, Valeria and Franco. Bruno's email address is: brunobalbi84@gmail.com. Carlos Balbi lives in Buenos Aires. His grandfather was Jose Balbi who was born in Ronco Scrivia, Italy in 1850. Jose immigrated to Argentina where he married Maria Souto Prego. They lived in Tres Arroyos in the Province of Buenos Aires. They had eleven children. Their tenth child, Hernan is Carlos' father. Hernan married Amalia Lisa in 1938. He died in 1995 at the age of 87 and Amalia died in 2008 at the age of 94. Carlos is in the medical field and works in Buenos Aires. He has three daughters and two sons. Carlos' email address is: chbalbi@hotmail.com. Alejandra Balbi Dalmonico lives in the Province of Neuquen. Her grandparents immigrated to Victoria in the Province of Entre Rios. Alejandra's email address is: diazdalmonico@hotmail.com. Osvaldo Humberto Balbi lives in Argentina. His parents are Adriano Balbi and Rosa Ana Auteri. Osvaldo has two brothers, Carlos and Adrian. His paternal grandfather married Adelina Moretti and they had three children: Adriano (Osvaldo's father), Luis and Haydee. Osvaldo's grandparents separated and his grandfather went to live in Mendos, Argentina. Osvaldo's email address is: ohbalbi_63@hotmail.com. Azucena Lydia Balbi was born in Buenos Aires. Her frather was Rodolfo David Balbi born in Hinojo, Buenos Aires on November 26, 1885. He was the son of Juan Balbi, born in Genoa, Italy and Juana Ramella. Azucena's email address is: acardozo@intramed.net. Luara Balbi Santos de Oliveira lives in Sao Paulo, Brazil. Her father's name is Pedro Paul Balbi de Oliveira. They are aware of many Balbis living in Brazil. Luara has relatives in Rio de Janeiro, Barra Mansa, Volta Redonda and Resende. Renato Agosto de Oliveira Balbi lives in Rio de Janeiro, Brazil. His father is Marco Antonio Esteves Balbi. Renato's Balbi ancestor is Francesco Balbi di Valeriano who was born in Italy in 1867. Francesco was the son of Domenico Balbi di Valeriano and Anna Maria Mielle di Francesco. Francesco married Filomena Caiafa and in 1900 immigrated to Brazil. Francesco and Filomena had five children, Luigi, Domenico, Maria, Tereza, and Julia. Renato's email address is: balbi75@hotmail.com. Miguel Angelo Teixeira Balbi belongs to a Balbi family branch in Brazil. His Balbi heritage is the same as Renato Balbi (see above). Miguel's Balbi ancestor is Francesco Balbi di Valeriano who was born in Italy in 1867. Francesco was the son of Domenico Balbi di Valeriano and Anna Maria Mielle di Francesco. Francesco married Filomena Caiafa and in 1900 immigrated to Brazil. Francesco and Filomena had five children, Luigi, Domenico, Maria, Tereza, and Julia. Sadly, Miguel passed on in 2005. João Carlos Sinott Balbi and his wife Maria Ines Pereira live in Brazil. Their children are Rafael and Bianca. João's brother, Marcus Antonio Sinott Balbi, lives in Rio de Janeiro and his sister, Martha Balbi Aranha, lives in Pelotas rio Grande do Sul/Brazil. João's father was Antonio Rochedo Balbi and his mother's name was Elizia Sinott Balbi. His parents were Carlos Balbi and Amelia Rochedo Balbi. João's email address is: balbi@vsp.com.br or vendas@monpetitbijou.com.br. Rafael Pereira Balbi is the son of Joao and Carlos Sinott Balbi (above listing). Rafael and his wife Maria Jossana Oliveira Castro and their son Augusto Oliveira Castro Balbi live in Novo Hamburgo, Brazil. Rafael's sister Bianca Pereira and her husband Fabio Araijo Hackbart live in Nagoya, Japan. Rafael's email address is: balbi.poa@gmail.com. Fabio Jose Balbi lives in Rio de Janiero with his wife Maria Marlene Lacerda Balbi and his children Bruno and André. His parents are Joseph and Sophia Balbi. Joseph was born in Salerno, Italy. His paternal grandparents are Biagio Balbi and Maria Grazia de Simone. Fabio's maternal grandparents are Felice Balbi and Maria Carmen Jannotti. Fabio's great uncle, Zaccaria Balbi, arrived in Brazil in 1919. Armando Jose Rinaldi Balbi, his wife Julia and their family live in Rio di Janeiro, Brazil. Armanndo's great grandfather immigrated to the State of Rio di Janeiro in the second half of the 1800's. He had two sons, Armando and Vicento. Fernanda Balbi and her family live in Brazil. She tells us that her uncle Mario Balbi lives in New Jersey and is writing a book about the Balbi family. Fernanda's email address is: fernanda.balbi@clix.pt. Jose Fernando Guitton Balbi lives in Rio de Janeiro, Brazil. His Balbi ancestors are from Roccagloriosa, in the province of Salerno, Italy. His great grandparents were Domenico Balbi and his wife Barbara. His grandfather, Guiseppe Maria Antonio was born in 1876. In 1907 Guideppe married Angelina Caruso who died in 1908. In 1909 in Campos City, in the State of Rio de Janeiro, Guiseppe married Grimalda Mercadante. They had five children: Domingos, Dalvia, Dilma, Dilce, and Delson who is Jose's father. Delson and his wife Neusa had three children: Jose Fernando, born in 1945; Gina Guitton, born in 1947; and Gil Carlos Guitton, born in 1949. Juliana Barros Balbi lives in Brazil. Her father is Luiz Philippe Balbi Junior and Gisela Teixeira de Barros. Juliana's grandfather is Luiz Philippe Balbi. Juliana has two brothers, Rodrigo Barros Balbi and Rafaela Barros Balbi. Her uncles are Luiz Eduardo Balbi, Mathilde Garcia Balbi and Luiz Henrique Balbi who has two sons, Leonardo and Leandro Balbi. Mathilde has a son, Philippe Balbi Monteiro. Juliana's email address is: jubalbi@gmail.com. Fatima Balbi lives in Brazil. She has a daughter, Marcella Balbi di Valeriano Cavalcante. Fatima is the granddaughter of Francisco Balbi di Valeriano who married Irany Boechat. They had four children: Celia Balbi di Valeriano, Luis Balbi di Valeriano Neto, Aloswaldo Balbi di Valeriano, and Jorge Balbi di Valeriano who died at the age of two. Fatima is the daughter of Celia Balbi di Valeriano and Jose Rodrigues de Souza. Fatima's email address is: fatimabalby@gmail.com. Ricardo Vercesi Balbi lives in Rio de Janeiro, Brazil. His parents are Vicente Rinaldi Balbi and Ellaz Vercesi Balbi. Ricardo is a photographer. His email address is: BALBIFOTOGRAFIAS@aol.com. Felipe Balbi is from Manaus, Brazil. His grandfather is Paolo Balbi and Felipe is researching his Balbi ancestry to find out more. Filepe is a web designer. Rafaela Santana Balbi lives in Natal, Rio Grande do Norte, Brazil. Her father is José Balbi. Rafaela has two sisters, Karla and Armanda. Rafaela's email address is: rafinhabalbi@hotmail.com. Leonardo Leal Balbi lives in Rio de Janeiro with his brother Bruno and sister Roberta. His parents Roberto Balbi Filho and Glaucia Leal Balbi live in Volta Redonda. Leonardo is an advertising major from the University of Missouri - Columbia and now works for an advertising agency, Fischer America. His email address is: leobalbi@hotmail.com. his grandfather is Rubens Balbi and great-grandfather is Camilo Balbi who immigrated from Italy to Manaus Brazio. Rúbia is 22 years old and is studying tobecome a journalist. His father, uncles and cousins studied law and are well-known lawyers and judges in Nanaus. Kamila Balbi (pictured at right) is Rúbia's sister. She is studying to be a lawyer. There is an important square in Manaus called Heliodoro Balbi Square. Heliodoro Balbi was Rúbia and Kamila's Balbi ancestor. He was prominent in politics. Rúbia's email address is: rubiabalbi@ig.com.br, and Kamila's email address is: moonriser_hotmail.com. Bartolomeu Alexandre Baldasso Balbi lives in Porto Alegre (RS), Brazil with his wife Marcia and their son Matheus. Bartolomeu's father is Joao Caputo Balbi and his mother is Carolina. Bartolomeu has two sisters, Joana and Sofia. Doménico Teresio Balbi lives in Brazil. His father is Luigi Santo Balbi Aramini, born in 1900 in Villavernia, and his mother, Annunciata Levantini de Balbi, born I Pozzolo, Formigaro. Doménico's grandfather, Domenico, told him about a castle and streets, all with the Balbi name. His email address is: schuma@cgmnet.com.br. Marilia de Gonzaga Balbi Reis lives in Brazil with her husband Ezil Batista de Andrade Reis and their two children, Elisa and Júlia. Marilia's Balbi ancestors were from San Genaro in the province of Salerno, Italy. Marilia's father is Luiz de Gonzaga Balbi. Her great-grandfather was Genaro Balbi and his father was Nicola Balbi. Marcos Andrey Balby Silva lives in Brazil. His email address is: marcos.balby@grupolago.com.br. Marcos Antonio Sinnott Balbi, his wife Patricia Carla Giancoli and their two sons, Luis Fernando Giudice Balbi and Ana Cristina Giudice Balbi, live in Rio de Janeiro. Marcus' mother, Elizia Sinnot Balbi, his sister Martha Balbi Aranha and her son Bruno Balbi live in Rio Grande do Sul-Brazil. Marcus' brother is Joao Carlos Balbi and his children are Rafael and Bianca. Marcos' father was Antonio Rochedo Balbi and his grandfather was Carlos Balbi. His grandmother was Amelia Rochedo Balbi. Marcos is the Controller for a company that sells products and services for marine navigation. His email address is: balbi@radiomar.com.br. Patricia Balbi lives in Rio de Janeiro at this time, but previously lived with her parents in Barra Mansa, near Volta Redonda. Her father's name is Luis Balbi and her grandfather's name is Francisco de Assisi Balbi who married Tereza Peluccio Balbi. They had eleven children who settled in Volta Redonda, Barra Mansa, Sao Paulo and Minas Gerais. Patricia's email address is: patbalbi@bol.com.br. Valéria Bevilacqua Balbi lives in Sao Paulo where she is a journalist. Her grandfather was Luis Balbi and her father is Luis Eduardo de Moura Balbi. Valéria has a brother, Carlos Eduardo Bevilacqua Balbi, and a daughter, Luiza Bevilacqua Balbi de Oliveira. Valéria's email address is valeriabalbi@terra.com.br. Rodrigo Correa e Silva Balbi de Faria lives in Brazil. His email address is: balbi_rodrigo@yahoo.com.br. Jorge Gette Balbi, his wife Roseli and their daughter Georgia live in Porto Alegre, Rio Grand, Brazil. Jorge's father is Braz Caputo Balbi and his mother is Selma Gette Balbi. Jorge's email address is: verlindobalbi@click21.com.br. Domingo T. Balbi Levantini lives in Brazil. His father is Luigi Santo Balbi Aramini, son of Domenico Balbi Robiano and Teresa de Balbi who had three other children: Miguel Balbi Aramini, Armando Balbi Aramini, and Elisa Balbi Aramini Casada who married Silvio Traverso. Their three children are Gianni Traverso Balbi, Armando Traverso Balbi and Teresa Traverso Balbi. Emails can be sent to the attention of Domino Teresio Balbi Levantini at:schuma_4@msn.com; schumingo@yahoo.com.br; or domingobalbi@yahoo.com. Jorge Gette Balbi, his wife Roseli and daughter Georgia live in Rio Grande do Sul. Jorge's parents are Braz Caputo Balbi and Selma Gette Balbi. Jorge's email address is: verlindobalbi@click21.com.br. Marita was born and lives in Florianopolis, Santa Catarina. Her grandfather, Gregorio Balbi, immigrated to Rio de Janiero with his wife Amelia Chatel and their children: Rafael, Solange, Lolanda and Italo (Marita's father) all born in Milan, Italy. Italo relocated to Florianopolis. He married Maria das Dores Elpo and they had two daughters, Marita and Marisa. Marita married Walter Abreu and they have two children, Alessandro and Mariana. Marisa married Cesar Luis Gouvea Ghanen and they have three children, Joana Angelica, Carlos Edoardo, and Miguelangelo. Marita's email address is: marita@zipmail.com.br. Ubiratan Balbi was born raised in in Rio de Janiero. His great grandparents are Gregorio Balbi and Berta Amelia Chatel. Ubiratan's grandmother is Yolanda Balbi and his parents are Ivan Balbi and Jacyra Balbi. Ubiratan's wife is Tania Balbi and they have two children, Rafael and Tatiana. Ubiratan's email address is: ubalbi@yahoo.com.br. Bruna Balbi lives in Porto Velho, Rodondia, Brazil. Her mother is Ana Goretti Balbi, her grandfather is Jose Agostinho Nunes Balbi and her great-grandfather is Rubens Balbi, all from Manaus, Amazon. Rubens Balbi's brother is Mario Balbi who was writing a book about the Balbi family. Bruna's email address is: bruna.balbi@gmail.com. Rita Cassia Balbi Paes lives in Rio de Janeiro. Her parents are Ivan and Jacyra Vieira Balbi. Her grandmother is Yolanda Balbi and her great-grandparents are Gregory and Bertha Amelia Balbi Chatel. Rita is married to Jose Carlos and they have a daughter named Anna Carolina. Rita's email address is: muflor@ig.com.br. Catharina Balbi lives in Campos, Brazil. Her parents are Vicenza Carboni and Antonio Marotta Balbi who were born in Roccagloriosa, Italy. They immigratted to Brazil in the early twentieth century and settled in Rio de Janeiro. They had four children, one of whom was Joana, Catharina's grandmother. Catharina's email address is: catharina.queiroz@gmail.com. Diego Balbi is the son of Elizabeth Balbi and grandson of Jose Nunes Balbi Augustine. He was born in Old-Ro port and her great-grandfather is the Rubens Balbi. Diego's email is: diegotelecel@gmail.com. Gustavo Balbi's family immigrated to Brasil from Italy right before World War II, stayed in Rio de Janeiro for a time and subsequently relocated to Minas Gerais. His mother is Daniele Balbi, and his maternal grandmother Maria Marta Balbi carries the Balbi surname. His deceased grandfather was Ruy Balbi. Gustavo, his sister and mother live in Rio. Their full names are Gustavo Balbi de Castro, Julia Balbi de Castro and Daniele Vieira Balbi. Gustavo's grandmother, Maria Marta Balbi lives in Minas Gerais and Rio. Gustavo's email address is: gustavo_balbi@hotmail.com. Agricio Balbi lives in Manaus, Brazil. His father was Thurenne Balbi. Agricio's grandfather was Dolabella Balbi, his great-grandfather was Heliodoro Balbi and his great-great-grandparents were Nicolau and Domiciana Balbi from Italy. Agricio's email address is: agricio.balbi@gmail.com. Geysiane Fernanda Balbi lives in Brazil. Her parents are Jorge Henrique Balbi and Ana Cleide da Silva. Jorge's father was Geraldo Balbi, born in Brazil. Geysiane's great-grandparents were Francesco and Aurora Balbi. Geysiane's email address is: geysianebalbi@gmail.com. Christel Balbi is a 23-year-old student at the National University of Arts in Buenos Aires, Argentina. She is Dr. Carlos Balbi's middle daughter. Her grandfather Herman Balbi died exactly two weeks before she was born in 1995. Christel works as an assistant for Production Ministry and also studies music and acting as a professional career. Her email address is: christelbalbi11@gmail.com. Graziela Fernanda Rodrigues Santos is a Brazilian living in New Zealand. Her ancestor Francesco Balbi married Teresa Mangia around 1815 in Roccagloriosa, Italy. Graziela's email address is: grazielasantos@yahoo.com.br. Valeria Balbi's family lives in Lima, Peru. Her great grandfather, Miguel Santos Balbi and his brother emigrated from Genoa to Lima between the late 1800's and the early 1900's. Valeria's email address is: valebalbi@hotmail.com. Angelo Michello Bobbio Balbi lives in Peru. He is related to Valeria Balbi in the above listing. His great-grandfather, Miguel Santos Balbi, was a native of Genoa, Italy. His grandfather was active in the Campania Italiana Pompieri Voluntari "Roma" No. 1. His great-great-grandparents were Francesco Balbi and Caterina Crovetto. Angelo's email address is: anbobbio@yahoo.com. Luis Piselli Balbi lives in Lima, Peru. His maternal grandfather was Michele Santos Balbi who was born in 1872 in Sestri Ponente, Genoa. Michele's parents were Francesco Balbi and Catarina Crovetto. Oscar Balbi lives in Lima, Peru. His Balbi ancestors came from Genoa. Oscar's email address is: larrelsi@hotmail.com. Bianca Pereira Balbi lives in Pelotas, Rio Grande do Sul, Peru with her parents João Carlos Sinnot Balbi and Maria Ines Pereira Balbi, and her brother Rafael Pereira Balbi. Bianca's grandfather is Antonio Balbi. Mariella Balbi lives in Lima, Peru with her two youngest children, Jay a Marine Biology student and Ian who will finish high school soon. Her son Gianni is a chef in Germany where he is married and has a two year-old daughter. Mariella enjoys her work in a food industry company. Her Balbi ancestors immigrated to Peru from Northern Italy. Her grandfather's name is Abel Balbi and her father's name is Mario Balbi. Mariella's Her email address is mariellabalbib@gmail.com. Ana Cristina Balbi and her family live in Venezuela. Her grandparents, Domenico Balbi and Maria Anunziatta Romano emigrated from Italy. They had six children: Antonia, Tanina, Yolanda, Olga, Gerardina, and Ovidio. Ovidio Balbi is Ana's father. Yolanda lives in the United States and Tanina lives in Salerno, Italy. Ana has a brother Domingo and a sister Hilda. Ana's email address is: gl-caracas@gl-group.com. Beatriz Helena Peñaloza Rodriguez lives in Cagua, Venezuela. She is a cousin of Ana Cristina Balbi in the above listing. Beatriz' grandmother is Maria Antonia Balbi Romano de Rodriguez and her great grandparents are Maria Anunciatta Romano de Balbi and Domenico Balbi. Beatriz' mother's name is Beatriz Dominga Rodriguez Balbi and her aunt is Maria Zenobia Rodriguez Balbi. Beatriz' siblings are Angelica Peñaloza Rodriguez, Angibel Peñalosa Rodriguez and Angel Peñaloza Rodriguez. Beatriz email can be sent to:sin_dy_1986@hotmail.com. Marisela Balbi Ochoa lives in Venezuela. Her great grandfather, Antonio Balbi married Vincenza Romano and they had six sons: Domenico (Ana Cristina's grand father - see above), Vincenzo (Marisela and Edgar Eduardo's grandfather - see below), Genaro, Giovanni, Gaetana, and Vincenza. Antonio and Vincenza immigrated to Venezuela in 1880 from Marina di Camerota in the province of Salerno, south of Naples, Italy. Marisela said that Marina di Camerota has beautiful beaches and is a popular tourist destination. Marisela's email address is: mboca@telcel.net.ve. Edgar Eduardo Battistella Balbi lives in Caracas, Venezuela. His grandfather Vincenzo Balbi Romano was born in 1898 in Marina di Camerota, Italy. Vincenzo married Teosta Toro and they had seven children: Livia, Antonio, Aida, Edda, Fulvia, Italo, and Sylvia who is Edgar's mother. Edgar tells us that there are at least two Balbi families in Venezuela, one which settled in the state of Guarico in the town of Tucupido, and the other, in Caracas. Still other Balbis live in Puerto Cabello in the state of Carabobo. The family now has 19 grandsons and 12 great grand children. Marina C. Balbi Toro lives in Caracas, Venezuela. 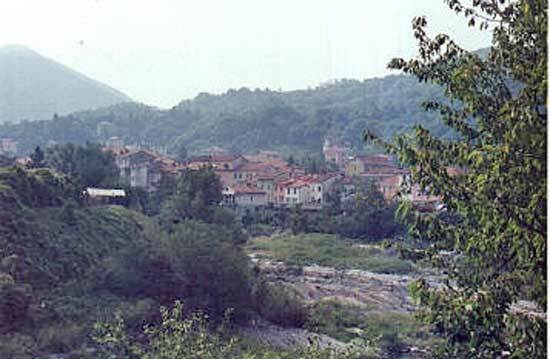 Marina's father Juan Balbi Romano was born in Marina di Camerota, Italy. He immigrated to Venezuela with his older brothers. Juan married Maria Magadalena Toro Arruevarrena and they settled in Tucupido, Edo. Guárico. They have two children, Giovanni and Marina. As is evident from the above paragraphs, Marina is part of a large Balbi family residing in Venezuela. Other of Marina's cousins include Antonio Balbi, Aida Balbi, and Sylvia Balbi. Miguel Vicente Vidal Balbi lives in Valencia, Carabobo State, Venezuela. His grandfather is Vincenzo Balbi Romano and his mother is Aida Balbo Toro. He is a cousin of Edgar Eduardo Battistella Balbi and Marisela Balbi Ochoa. Miguel's email address is: mvvidal66@yahoo.com. Gustabo Balbi lives in Venezuela. His father is Vicente Amadeo Balbi who was born in Rocagloriosa, Italy and subsequently immigrated to Venezuela. Gustbo is an architect and is married to Evelyn Everon, of Dutch descent. They have an 11 year old daughter. Gustabo's email address is: gusbalbi@hotmail.com. Escarlette Balbi Vásquez lives in Venezuela. Her father is Giuseppe Balbi Ruocco who was born in 1933 in Marina di Camerota, Salerno Italy. In 1946 Giuseppe immigrated to Venezuala where he married Escarletts's mother Gladys Vasquez in 1963. Escarlette's grandparents, Vincenzo Balbi and Rosalia Ruocco had five children: Giuseppe, Luisa, Rosalia, Gerald and Dominga Balbi. Escarlette's cousins, all in Venezuela, are: Franco, América, Rosana, Olimpia and Pietro Paulo. Escarlette's sister, Rosalia Nereyda Balbi, has two children, Jornery and Anabal. Escarlette is an Accountant in Bogota. She is married to David Leonardo Lopez and they have a son, Diego Leonardo Lopez Balbi. Luigina Balbi Gonzalez lives in Tucupido Estado Guarico with her family, which includes her parents Robert Balbi Medina and Yajaira Gonzalez de Balbi. Luigina has two brothers, Jose Juan and Robert Genaro. Her grandparents are Jose Balbi Del Gaudio, born in Marina Di Camerota, Italy, and Marcelina Medina de Balbi. They had seven children: Catalina, Maria Antonia, Maria Cristina, Carmen Lucia, Columba, Juan Vicente, and Luigina Balbi Medina. Luigina's email address is: antoniotorrealba@cantv.net. Vicente Antonio Balbi Berti is a grandson of Vincenzo Balbi Romano and is part of the Venezuelan families listed above. Vicente's parents are Italo Balbi Toro and Leticia Berti. Vicente and his two brothers were born in Caracas and at this time are living in Madrid, Spain. Vicente's email address is: vicentebalbi@hotmail.com. Mario Balbi Gutierrez lives in Chile. He is the grandson of Pietro Balbi from Milan in the Piedmont Province, Italy who, after World War II immigrated to Argentina and shortly thereafter to Chile. Mario is a veterinarian. His sister is Lorena Balbi Gutierrez and she has a son, Francisco. Lorena is a psychologist. Mario's email address is: mbalbi@vtr.net and Lorena's email address is: lorenabalbigutierrez@yahoo.com. Juan Ramon Balbi lives in Chile. His father is Domingo Balbi Traverso and his grandfather is Armando Balbi Peratini who was born in the Piedmont area of Italy. Juan's email address is: juan.balbi@pioneer.com. Llse Engels Balbi lives in Chili. Llse's mother is Bernardita Balbi Nuñez and grandfather is Santiago Balbi Aragone. After he arrived in Chile he married Joaquina Nuñez and they had eight children: Joaquin, Luis, Miguel, Armando, Bernardo, Modesta, Venecia and Bernardita. Llse's email address is: iengels@vtr.net. Fanny Martinez is a great granddaughter of Santiabo Balbi Aragone. Her email address is: lmartinm@hotmail.com. Guillermo Balbi Galan and his family live in Chile. His father is Andres Balbi and his grandfather's name is Miguel Angel Balbi Aramini. Giullermo's Balbi ancestors are from Genoa, Italy. Guillermo has two siblings: Carolina and Diego. His email addresses are:gbalbi_contador@yahoe.es; Guillermo_2003_3@hotmail.com; and guillermo.balbi@gmail.com. Lorena Latorre Albi and her family live in Chile. When her grandfather, Count Costantino Balbi immigrated to Chile from Genoa, his name was listed as Albi by the authorities. He married Maria Luisa de la Fuente. Their children were Henri Albi de la Fuente and Jose Albi de la Fuente. Lorena's email address is: llatorre@celfin.com. Rodrigo Garcia Balbi lives in Santiago, Chile. His grandfather, Armando Balbi Aramini was from Villalvernia in the Piedmont region of Italy. His mother is Teresa Balbi Traverso and his brothers are Fernando Garcia Balbi and Juan Luis Garcia Balbi. Rodrigo's email address is: rgarciabalbi@gmail.com. Pamela Perez Balbi's grandfather, Mario Balbi Zerby, immigrated to Chile after World War II where he remained. Pamela's mother is Carolina Ernestina Balbi and her uncle is Mario Balbi. Pamela is seeking other Balbi relatives. Her Balbi ancestors were originally from Genoa. Pamela's email address is: perezbalbi@gmail.com. Fernanda Balbi Rojas lives in Santiago, chile. Her grandfather, Armando Balbi Aramini was from Villavernia in the Piedmont region of Italy. Her father is Fernando Balbi Chaparro and her brothers are Hector Balbi Sanchez, Maria Jose Balbi Sanchez and Patricio Balbi rojas. Fernanda's email address is: nickyannkruchett@hotmail.com. Viviana Ortega Balbi was born in Melipilla, Chile. Her mother is Victoria Venecia Balbi Nuñez and her grandfather is Giacomo Balbi Aragone. Her grandfather was born in Villavernia in the Piedment region of Italy. Viviana's email address is vbalbi85@hotmail.com. Mariela Balbi Jorquera and her sister Silvana Balbi Jorquera were born in Chile. Their parents are Pietro Balbi and Sara Jorquera, their grandfather is Pierino Balbi Milanesse and their great grandparents are Miguel Balbi Aramini and Ernestina Milanesse Capurro from Piedemonte. Mariela's email address is: mariela_balbi@hotmail.com. Guillermo Miguel Angel Balbi Kruz lives in San Juan, Puerto Rico where he is an architect. He was born in Buenos Aires, Argentina in 1948. His father was Miguel Angel Eugenio, born in Victoria in the province of Entre Rios, Argentina in 1910. His grandparents were Angel Bernabe Balbi and Teresa Inocencia Muste, both of whom were born in Victoria. Guillermo's mother was Maria Olga Kruse, born in Buenos Aires in 1915. Her parents were Juan Enrique Kruse from Mezzen, Germany, and Olga Dorotea Liedert from Hannover, Germany. Guillermo has two sisters: Monica, who lives in New York; and Olga, who lives in Florida.